Here are seven dos and don’ts for making excellent Mimosas. 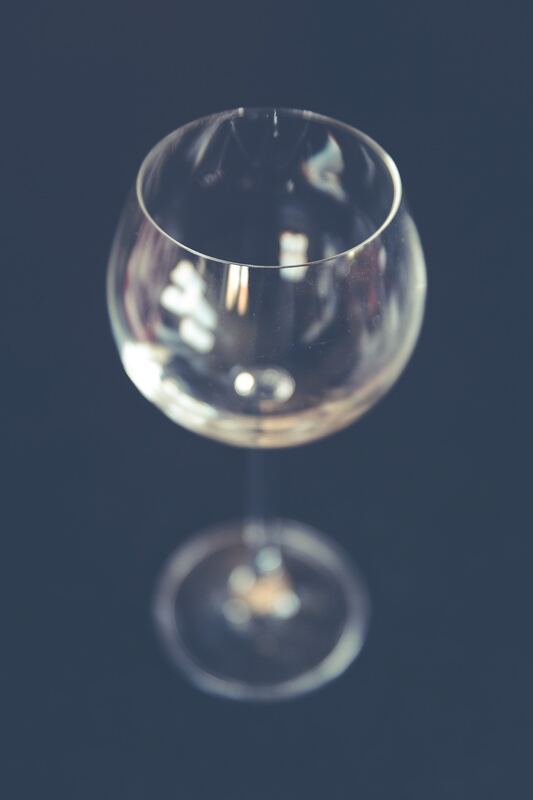 Wine collecting can be fiercely competitive, but the good news is you do not need to spend a fortune to start putting away quality bottles for later years. 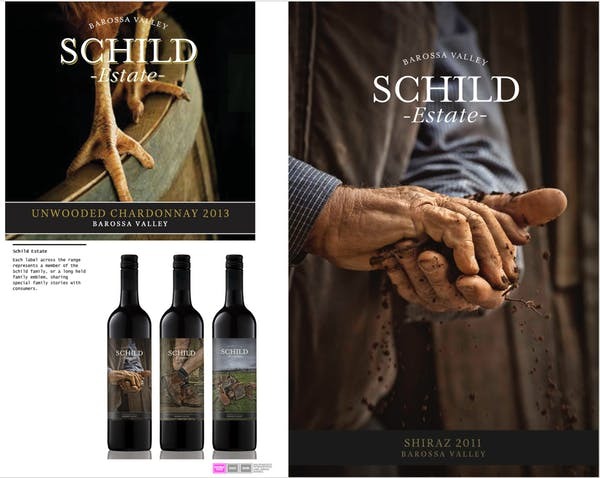 Lavish and Luscious are two new California-sourced red blends. 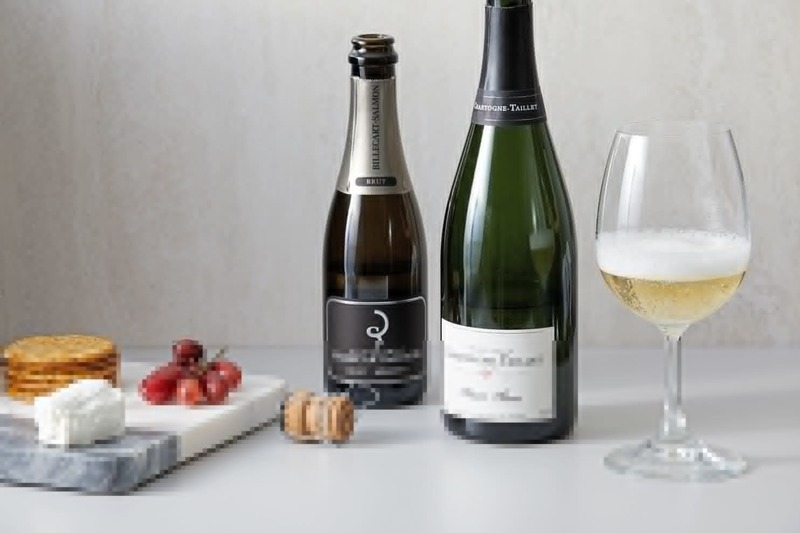 A sparkling French wine made with Chardonnay and Pinot Noir and enhanced with an edible perfume made from Damask rose petals and Szechuan peppercorns has been launched, forging a new category in sparkling wine. 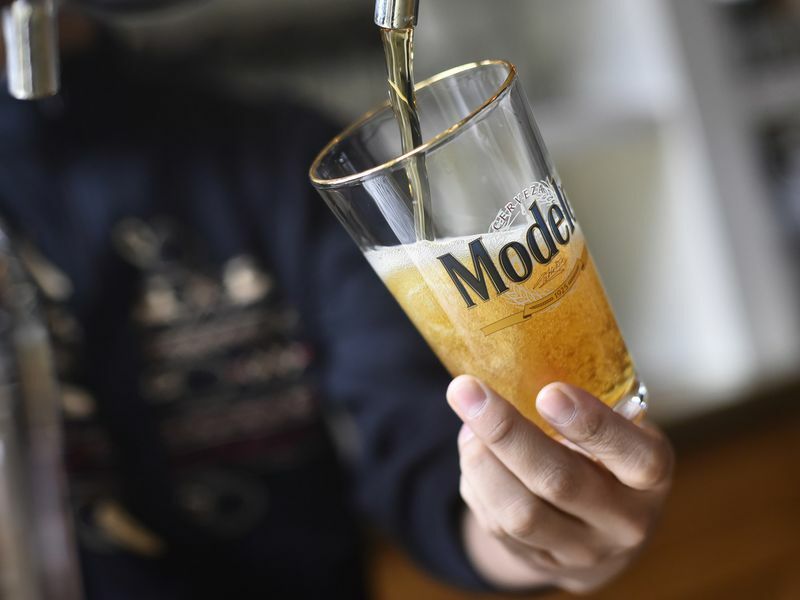 Modelo and Michelob Ultra post strong growth even as consumers trade brews for wine and booze. 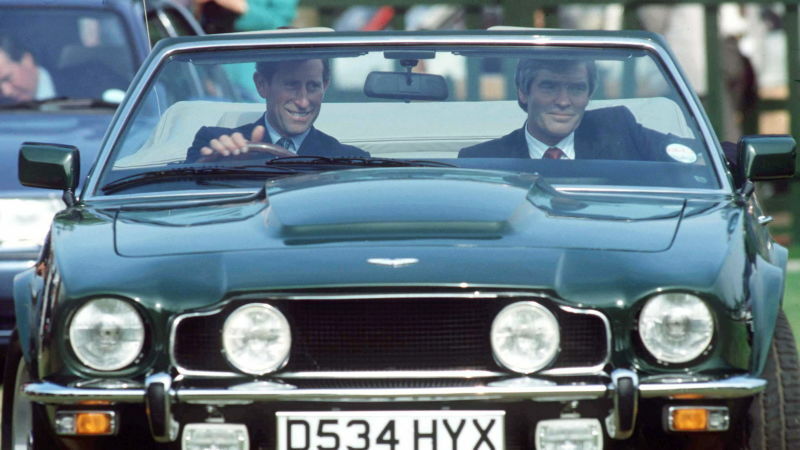 Anyone who doubts the possibility of this happening might like to cast their minds back to the 1980s when Swatch quartz watch movements surprised traditionalists by supplanting mechanical ones. Valle Reale practices organic viticulture and non-interventionist winemaking. Their wines have a rustic elegance to them that reflects the mountainous regions of Abruzzo where they originate. 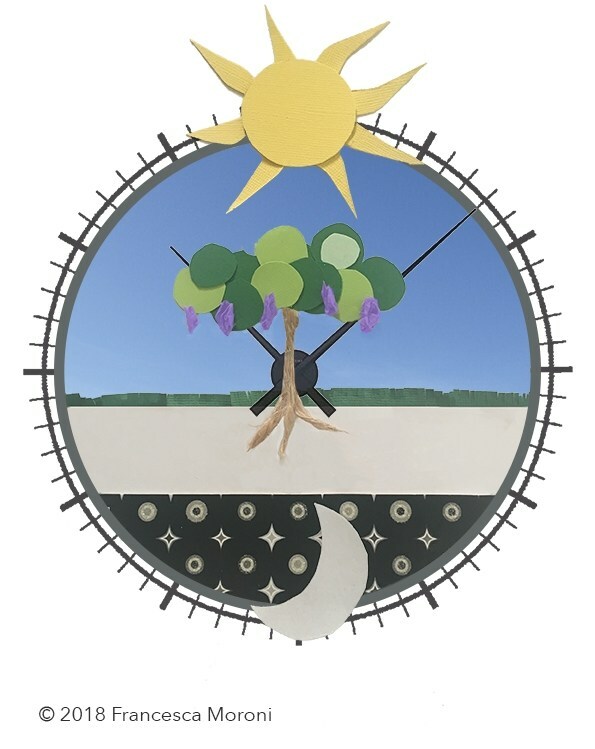 Chronobiology refers to the periodic rhythms of organisms in response to solar or lunar cycles. 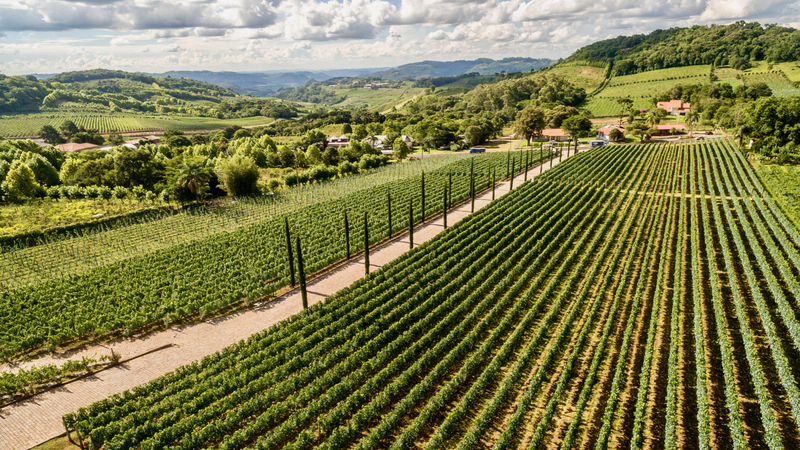 Can Brazil’s Wine Industry Capture an American Audience? The brand helped create and define bourbon culture and style, and, in one instance, even set the pricing. 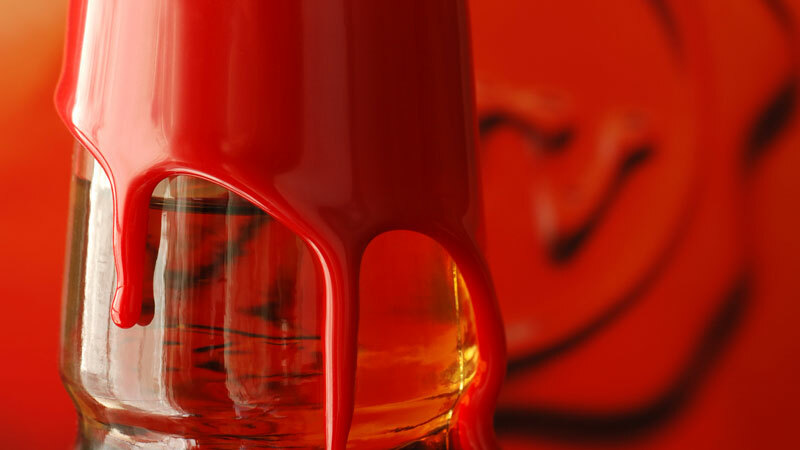 Here are 14 things about Maker’s Mark you need to know. 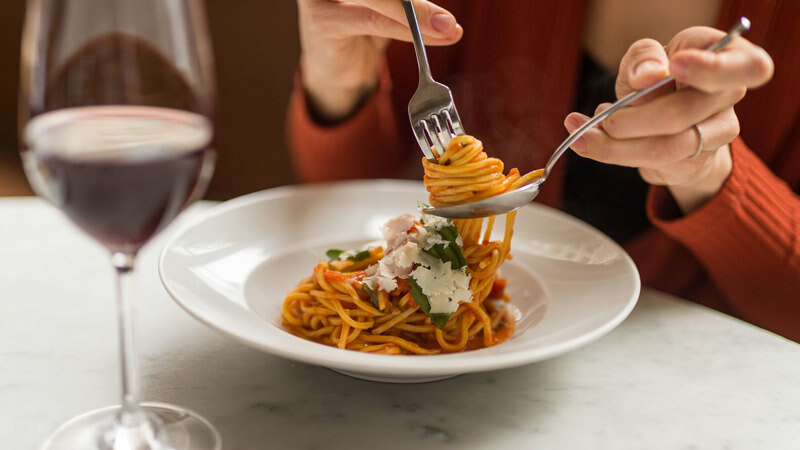 Surviving a long, cold winter is all about mastering the art of getting cozy, starting with a hot meal and glass of wine. 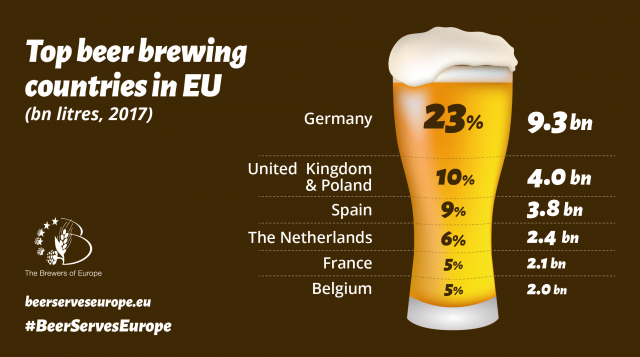 The UK imports more beer from both within and outside the EU than any other country in Europe, according to new data from The Brewers of Europe’s annual market report. 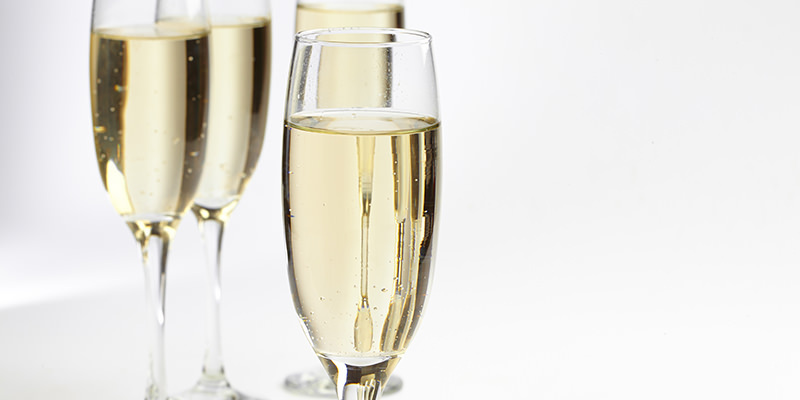 One of world’s greatest sparkling wines, Prosecco is more than just a Champagne alternative. 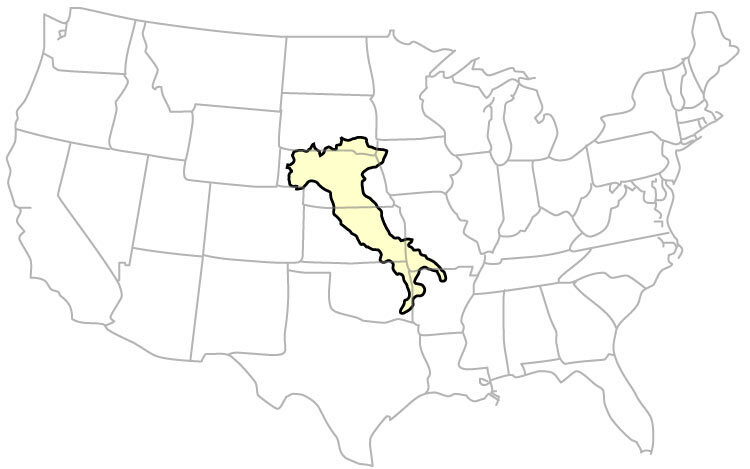 Here’s your one-stop guide to northern Italian bubbles. 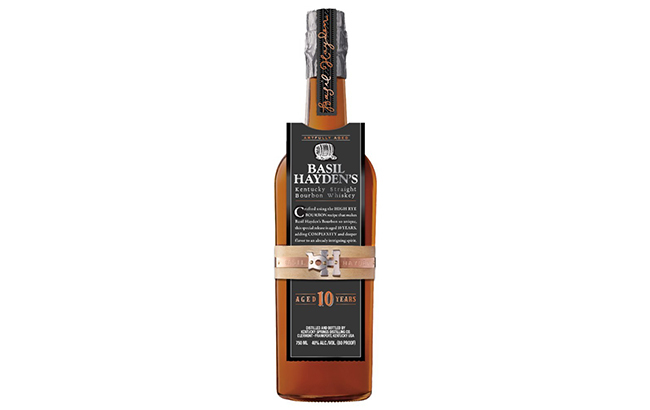 Beam Suntory has released a limited edition 10-year-old Basil Hayden’s Bourbon – the brand’s oldest bottling to date. 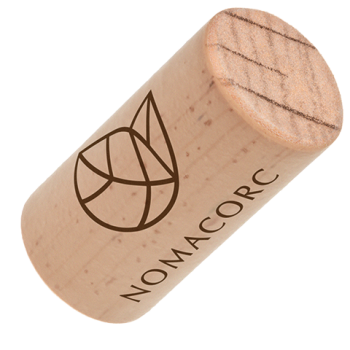 The study, conducted at Mind Insights, a scientific marketing organization within the University of Louvain in Belgium, was designed to better understand consumer perception of its closures and gauge whether plant-based closures in high-end wine, specifically Vinvention’s bio-based Normacorc Reserva closure, which is partly made from renewable plant-based materials, is seen as inferior to cork. While we can tell the most about wine by drinking it, the door into this experience for bottled wine is the label. Of all the issues at the heart of fine wine, perhaps one represents the crucial battleground: ripeness. To make good wine, ripe grapes are a prerequisite. 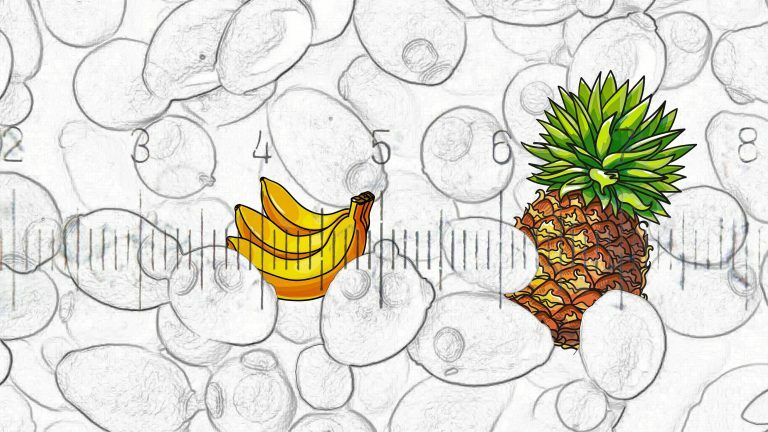 But what exactly is ripeness? How is it defined? And when is ripe too ripe? 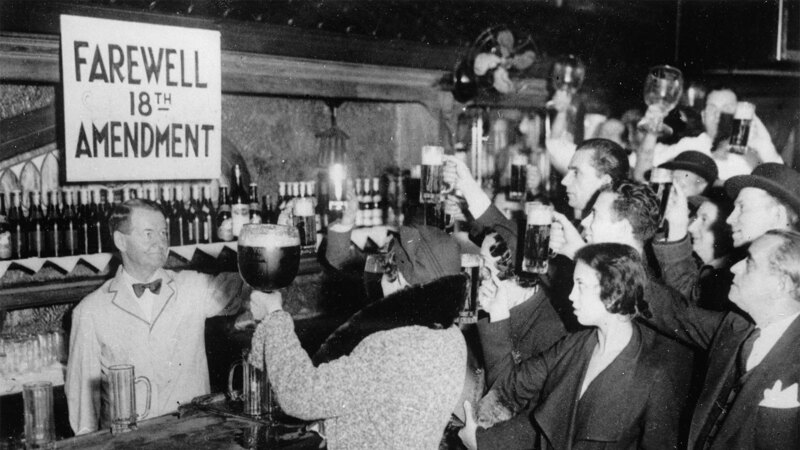 It’s the 85th anniversary of the 21st Amendment. Remember that? Dogfish Head, the acclaimed Delaware brewing operation, is partnering with iconic jam band the Grateful Dead. 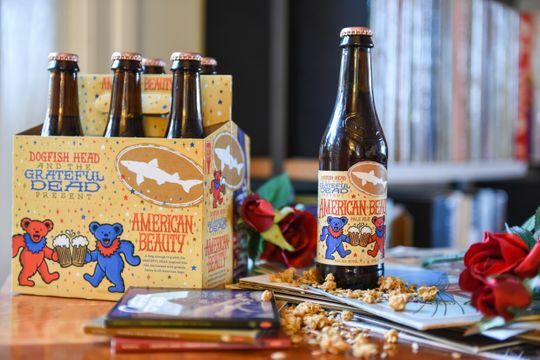 American Beauty, a pale ale brewed with granola and wildflower honey named after the band’s landmark 1970 LP. 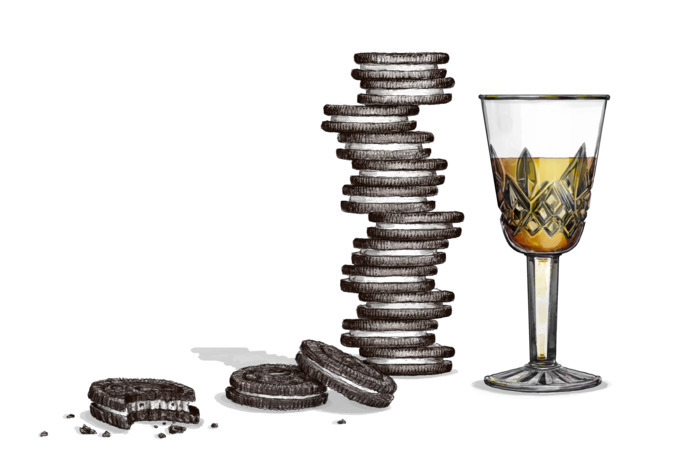 Let’s get this out of the way: The correct drink to “pair” with an Oreo cookie (or six) is a glass of milk. 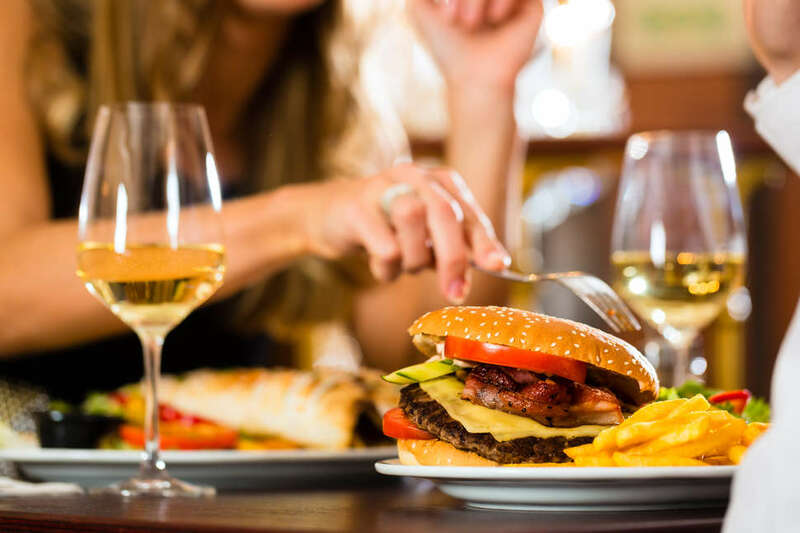 Going out to eat is one of the great joys of being a foodie. 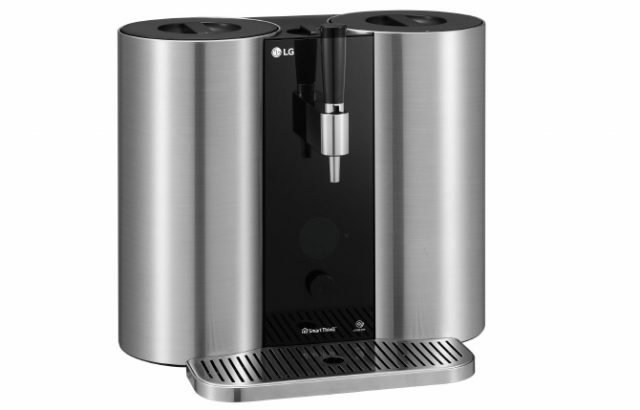 But it can be even more exciting as a wine lover. 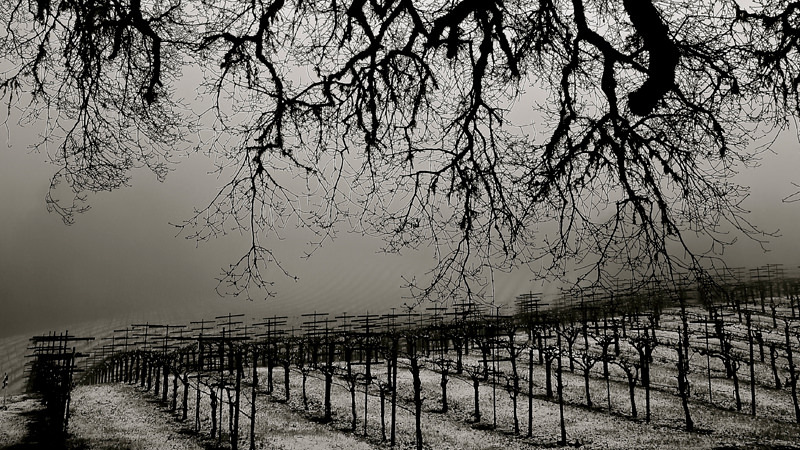 It may surprise you that grapes survive and thrive in British Columbia’s climate. 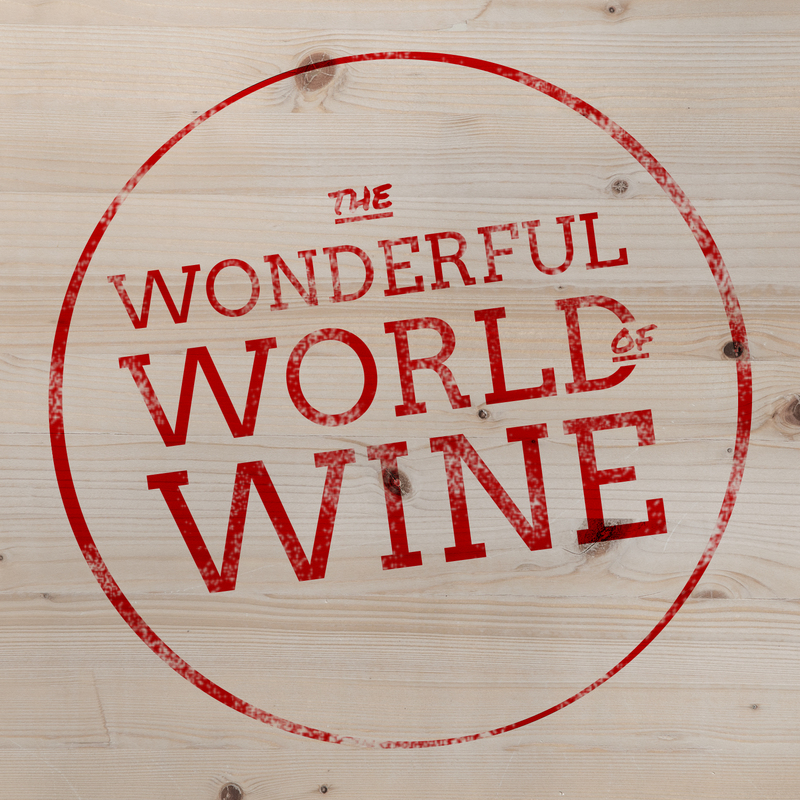 And they produce exceptional wines you’ll want to look out for. 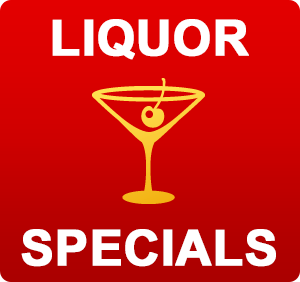 Instead of wasting your money wandering the aisles of your local pharmacy, trying every over the counter remedy you can get your hands on, head to your liquor store, grab a nice bottle of whiskey and make a hot toddy instead. 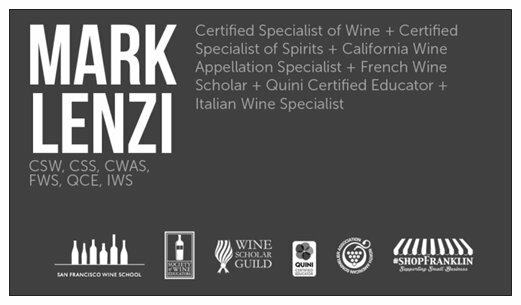 Kevin Zraly is a legendary New York-based author and beloved, longtime wine instructor. 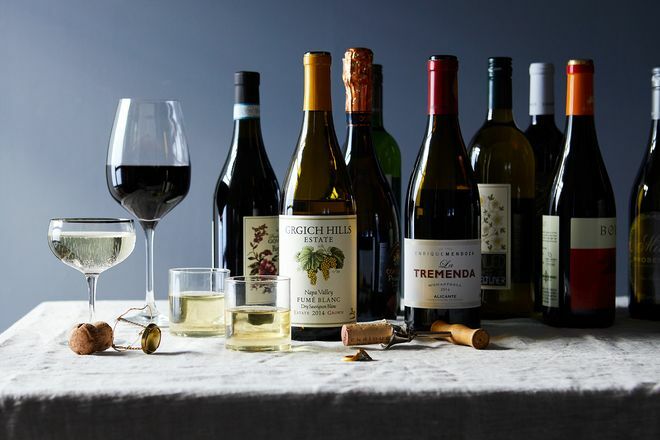 Can grocery store private label wine save cheap wine from itself? 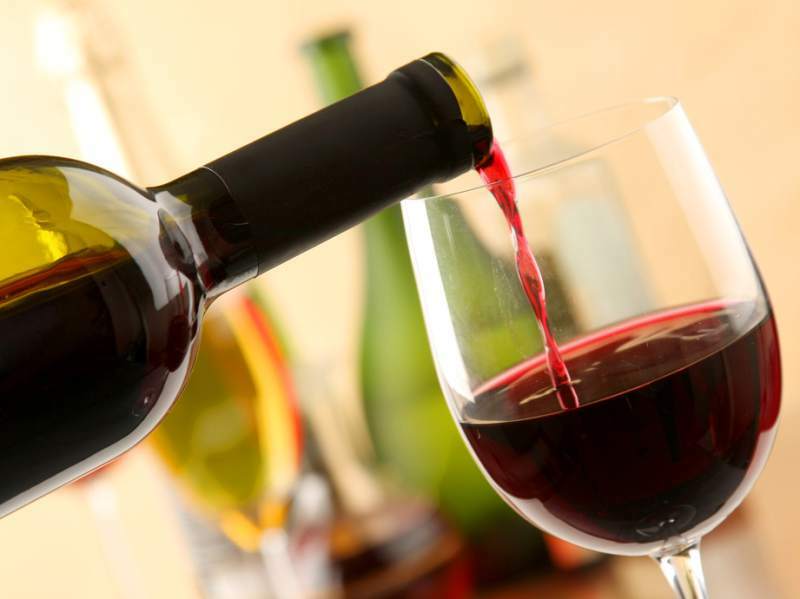 Are U.S. retailers ready to sell quality private label wine like their European counterparts? Roughly 23 percent of people may be resistant to hangovers. For the other 77 percent of us, well, at least there’s black coffee, next-day bagel sandwiches, and lots of aspirin. If Prohibition never happened, could Missouri have been Napa? We take an in-depth look at how the 18th amendment changed wine in the U.S., who survived, and how. What makes a wine worth drinking? Governo is a winemaking technique, which dates back to the fourteenth Century AD. Invented in the region of Tuscany, these selected grape aren’t only saved to help complete fermentation, but they may also help to stabilize the wine. Grapes are allowed to partially dry, not completely, though. 89 $17 RODNEY STRONG Sauvignon Blanc Northern Sonoma Charlotte’s Home 2017 California This distinctive version opens with a smoky, toasty note that melts into marmalade, yuzu and pomelo flavors, with vibrant acidity. 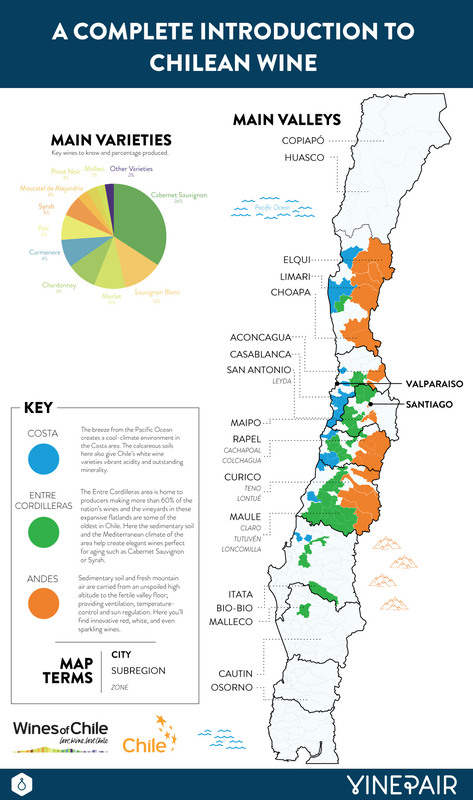 Chile is one of the most unique countries in the world for making wine thanks to the diversity of its geography. Don’t get us wrong, we love bubbly, but sometimes you have to switch it up with alternatives like mead, cider, perry and brut beer. 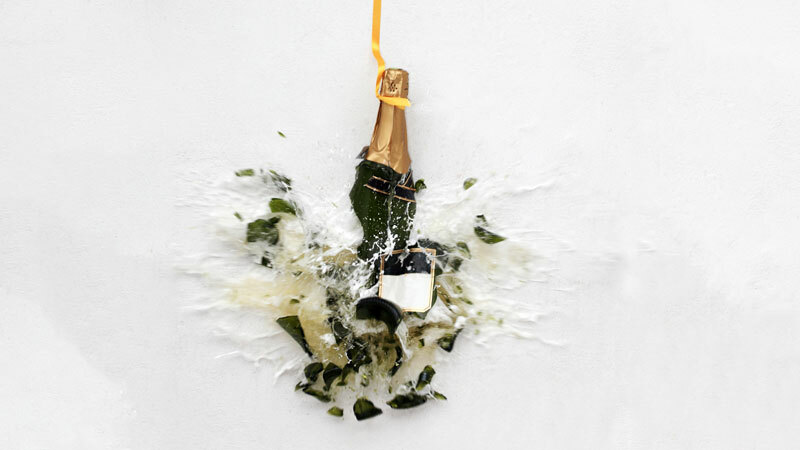 Never gift a naked bottle of bubbly again. 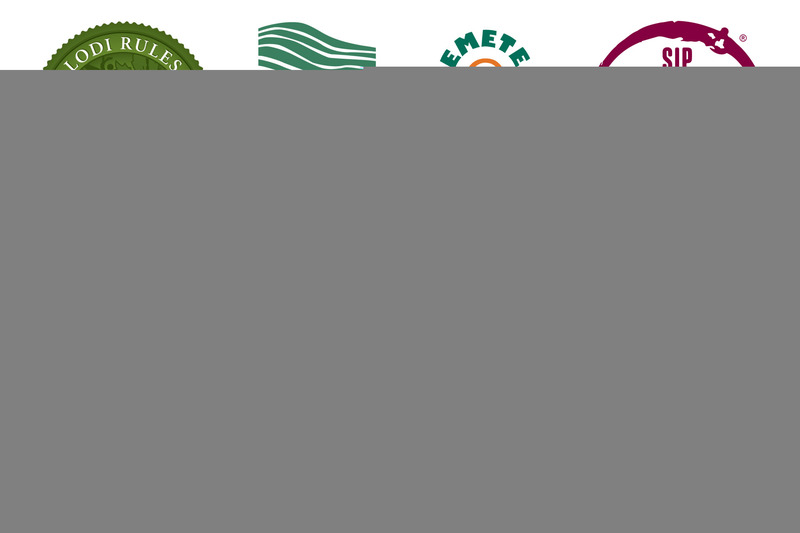 Apart from their brand identities, whether these be large or small in scale, and any collective appellations that designate a place of origin for a wine, be that on the scale of a country, a region, a county or a smaller geographical entity, wine producers still have to decide what to call each of the wines that they produce. 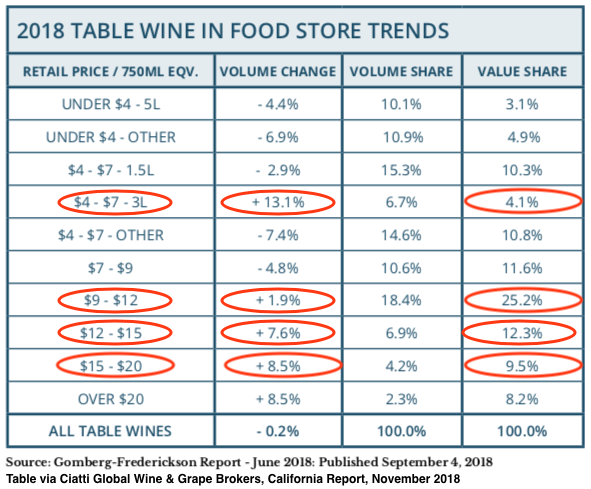 US drinkers are changing their behavior towards the wine category, the US Portraits 2018 from Wine Intelligence has revealed. 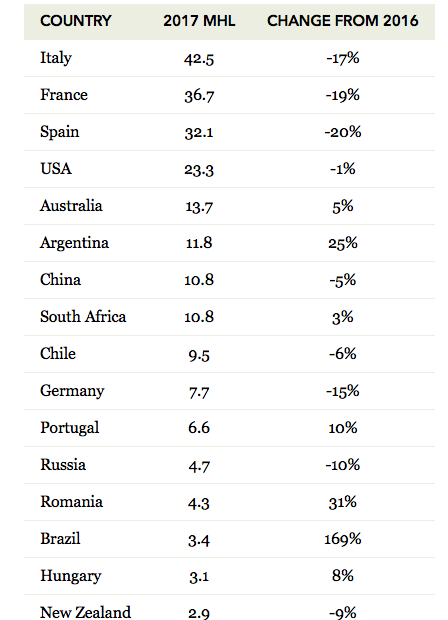 Wines $20 and under make up 51.1% of the market by value and all are growing. Twenty-five local estates have joined to establish the San Casciano Classico Association, whose aim is the promotion and protection of winegrowing estates in the municipal area of San Casciano in Val di Pesa, in the Chianti Classico production zone. 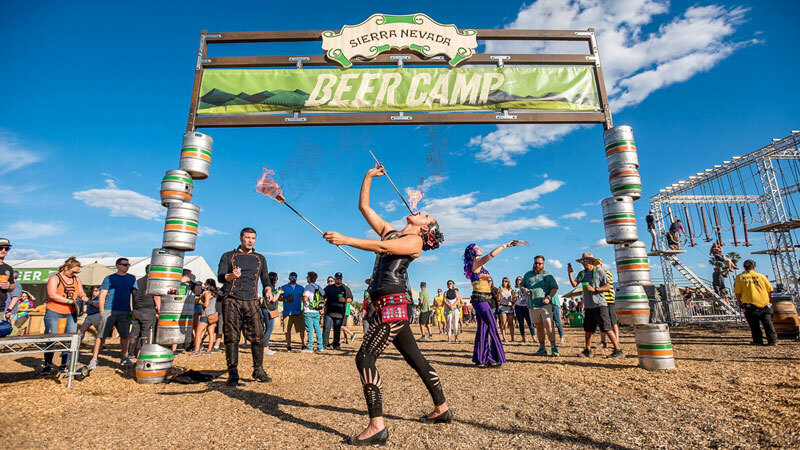 Now a household name among beer drinkers, Sierra Nevada Brewing was once a one-man show. Ah wine. Wine, wine, wine. What would we do without you and your grapey goodness? The Tre Bicchieri tasting hosted by Gambero Rosso offer a snapshot of Italy and its wines. California’s Delicato Family Vineyards is expanding its imported wine portfolio, adding Germany’s Schmitt Söhne to its range effective in January. Schmitt Söhne, which previously handled its own U.S. importing, is known for Riesling and includes its namesake flagship brand, as well as Relax Wines, Fünf Wines, and the Thomas Schmitt Private Collection. Delicato will also import luxury estate wines Bischöfliche Weinguter Trier, Schloss Vollrads, Friedrich-Wilhelm-Gymnasium, and Franz Keller, which are distributed but not owned by Schmitt Söhne. 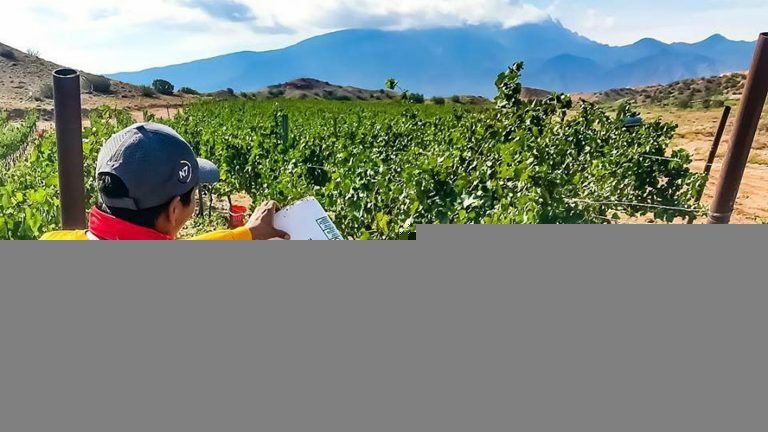 Overall, the Schmitt Söhne range totals about 700,000 cases in the U.S. Delicato’s import lineup also includes Chile’s Santa Rita, which joined the portfolio in April. Sonoma Magazine’s annual selection of the “Top 100 Wines of Sonoma” has been announced. Bottlekeeper is a stainless steel bottle insulated with neoprene and padded so that it can hold a glass bottle, keep it cold and protect it from breaking if dropped. This man was teased for his ‘beer belly.’ It turned out to be a 77-pound cancerous tumor. At 300 pounds, he said, strangers had started to stare, and friends were cracking jokes about his “beer belly,” even though he said he rarely drank the beverage. 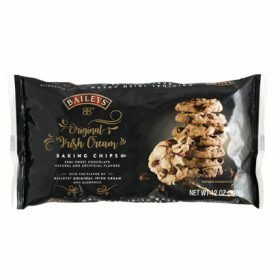 The baking chips, which are non-alcoholic, are available from Amazon and through select retailers, and will be rolled out across the US by Easter 2019. What is natural wine and does ‘natural’ mean that it’s healthier? In this 360 report, join us to see how wine corks are made and why scientists are worried about the future. We’ve all been there. A family member announces they can make it to Christmas lunch after all, or you realize a treasured friend’s big birthday is tomorrow and you haven’t yet got them a gift. Not many know Germany consumes more sparkling wine than any country on earth. Even less known are the exceptional bottles they make. Here’s your Sekt 101. 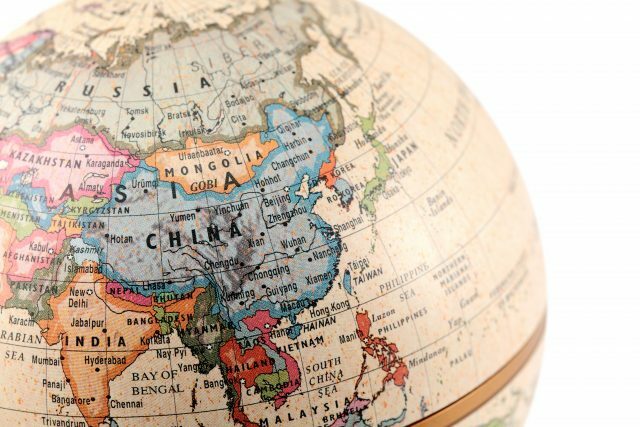 Wine-drinkers live in all parts of the globe and the wine world needs to adapt. It’s common knowledge that wine wholesalers everywhere are genetically opposed to free trade and real consumer access to products. The Needham Select Board found itself in a precarious situation back in October when two separate retailers- Volante Farms and Gordon’s Fine Wines and Liquors- requested a liquor license from the board when there was only one left to spare. Following a month of deliberation, during which time members reviewed both applications and written input from the public, the Select Board voted on Tuesday to deny both of the applications in favor of reserving the license for future use. 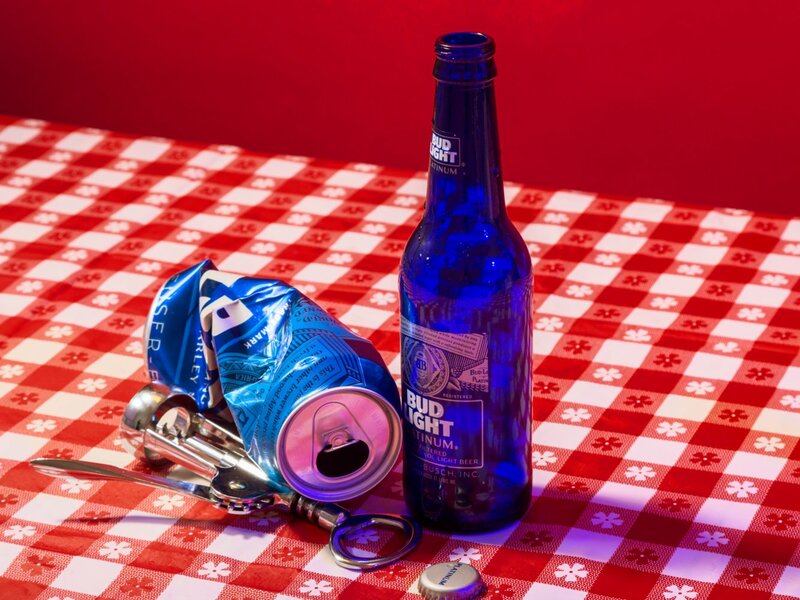 Chelsea MA this year became the first municipality in Massachusetts to ban the sale of the ubiquitous little liquor bottles, blaming them for contributing to public drunkenness in the downtown area it has worked hard to revive. The giant snowman stands alongside the pub’s gingerbread house display, first installed last year, which sees the 19th century inn covered in oversized sweets and treats made by two local artists. 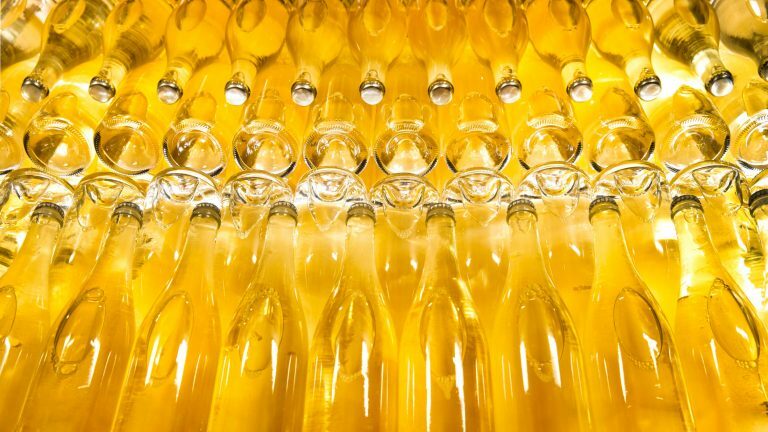 WHAT’S THE BIGGEST MISCONCEPTION ABOUT SPARKLING WINE? 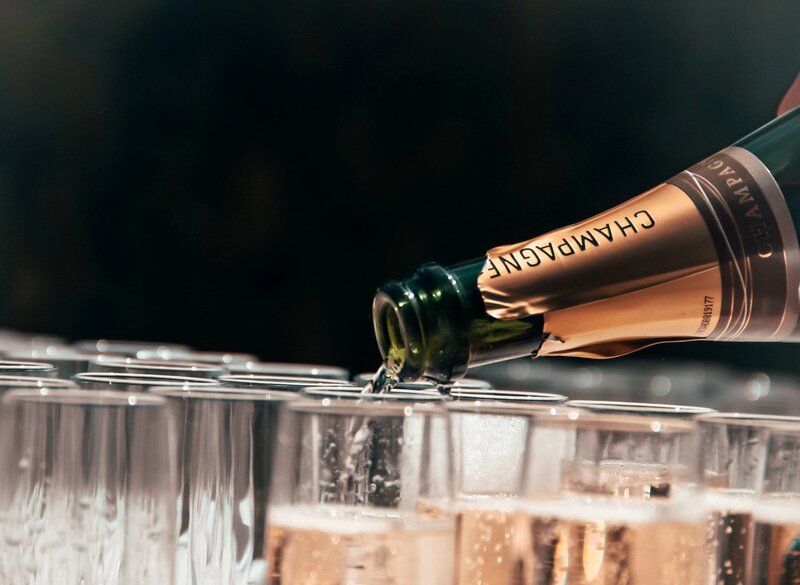 From where to turn for bubbly bargains, to food pairing tips, we spoke with some of the country’s leading wine professionals about the biggest misconceptions surrounding sparkling wine. 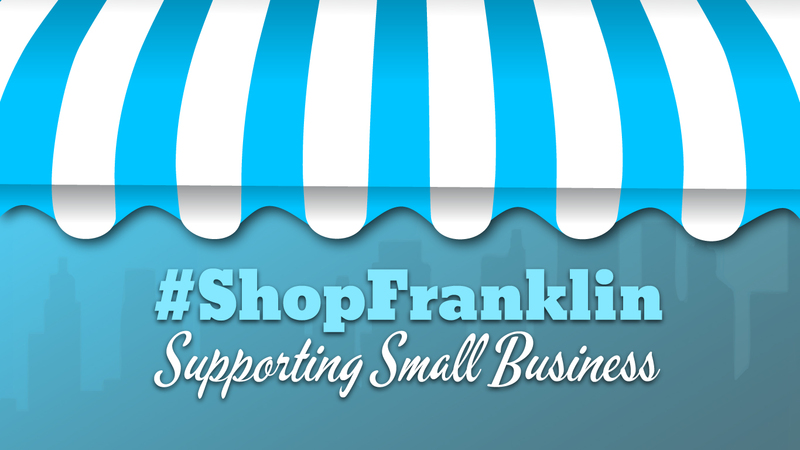 Whatever you do, don’t dump that sweet elixir! 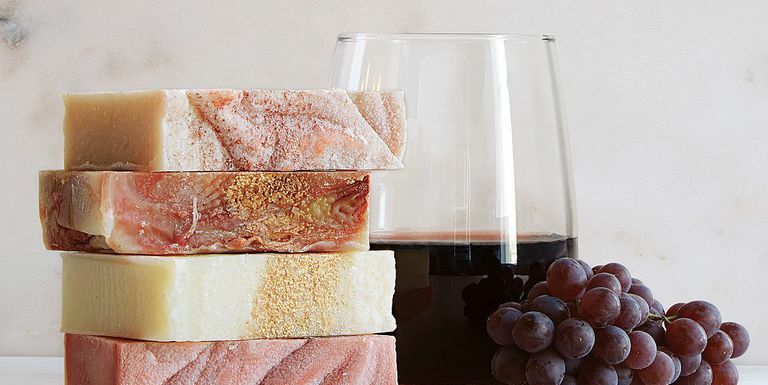 Here are five quick and easy uses for all that vino. All told, red wine has over 80 percent of the market. Add that red is a lucky color and it essentially means all other wines are afterthoughts, right? Not necessarily. Why are there so many holiday movies? Everyone rolls their eyes at most of them, there really aren’t that many good ones, and yet we continue to devour them. 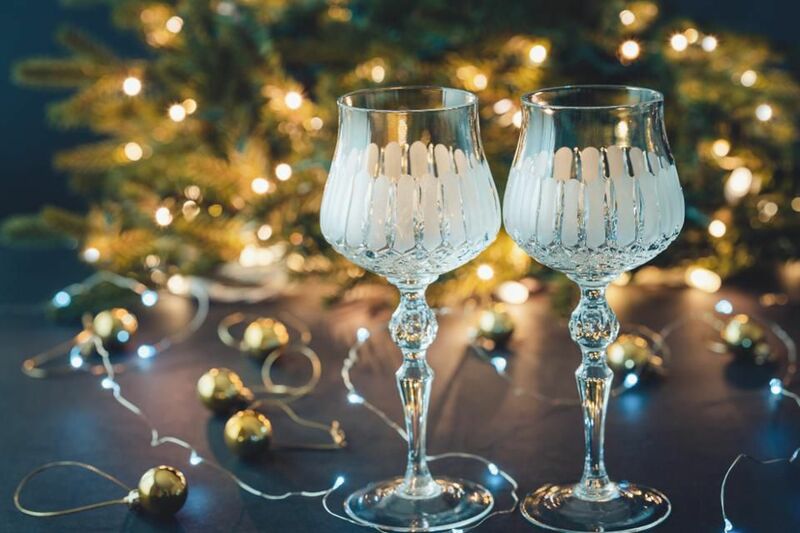 When planning the drinks menu for your holiday gathering, the question arises: Should one serve Champagne? Sparkling cider? Seltzer-spiked cocktails? The best option, however, is something else entirely: Prosecco,! 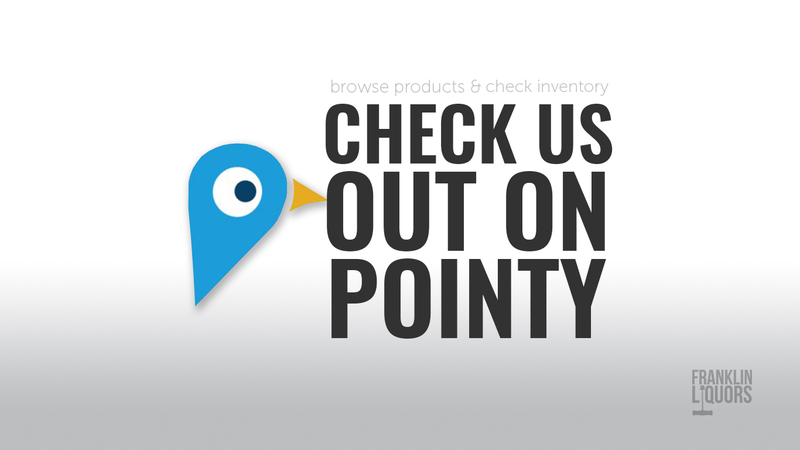 We Have Many Types AND Levels In Stock! 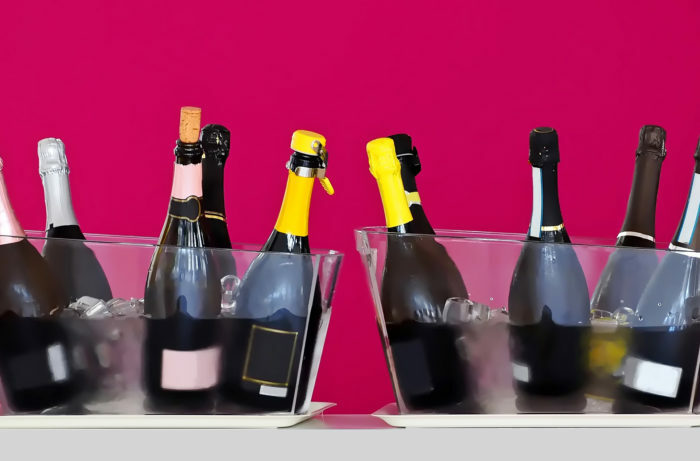 Here are the differences between Prosecco, Lambrusco, Franciacorta, Trentodoc, and Asti Spumante. The strange, once-popular practice is said to be of Russian origin, dating back to the late 19th century. Internationally renowned for Pinot Noir, the quality of Oregon’s Cabernet Sauvignon has now reached “unprecedented levels,” according to several producers in the state. The most important grape in Argentina is Malbec and it has doubled its acreage in the last 15 years. 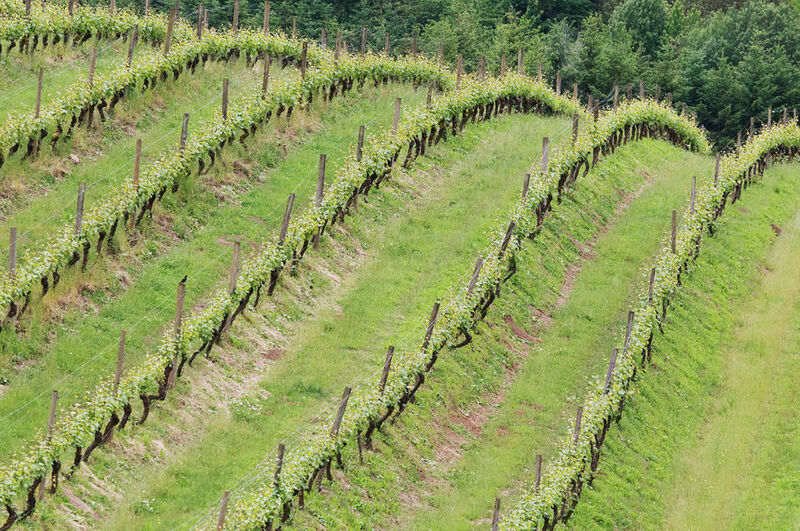 It has now 18% of the vine surface in the country. Syrah has also increased its acreage substantially. The wine expert and liquor store owner has been selling for 47 years, sober for 33. I know my wines. This is my specialty – the nose knows. If I have to, I swirl and spit. And I always spit. 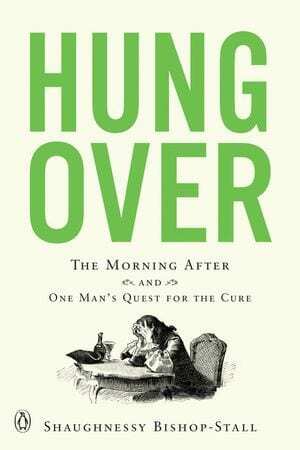 One man spent a decade studying hangovers. He may have found a cure. Forget death and taxes: Hangovers may be society’s most brutal equalizer. 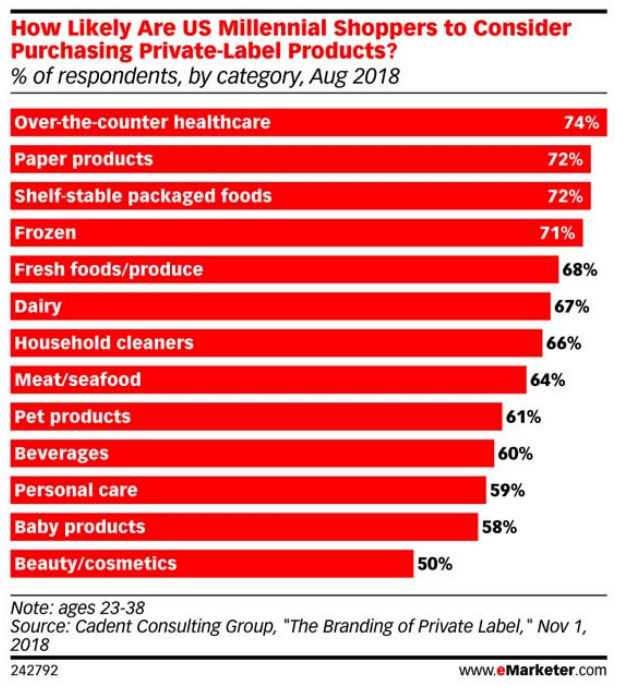 The ability to crunch and analyze trillions of points of data has transformed so many consumer-facing industries: retail, fitness, even groceries. So why, Cathy Huyghe wondered, had it not impacted an industry she (and many of us) loved dearly: wine? 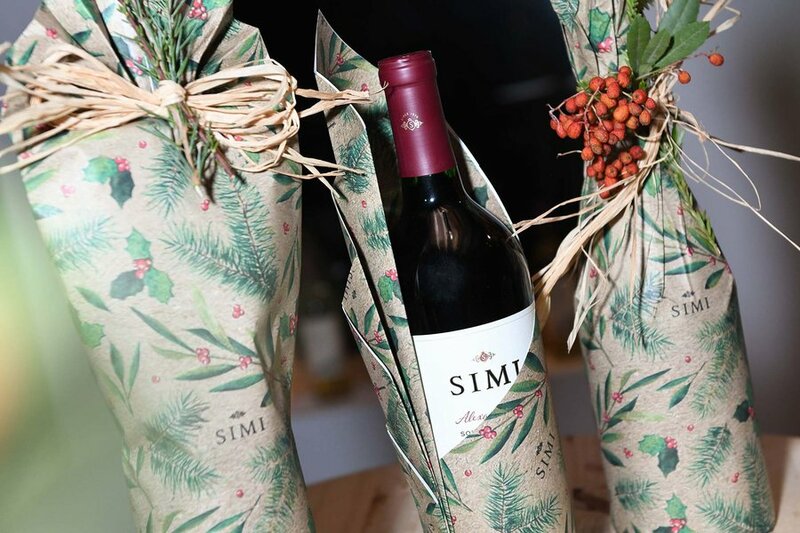 Stumped on how to wrap a bottle of wine you’re gifting for the holidays? We’ve got you covered with 3 creative ways to give your gift a personal touch. 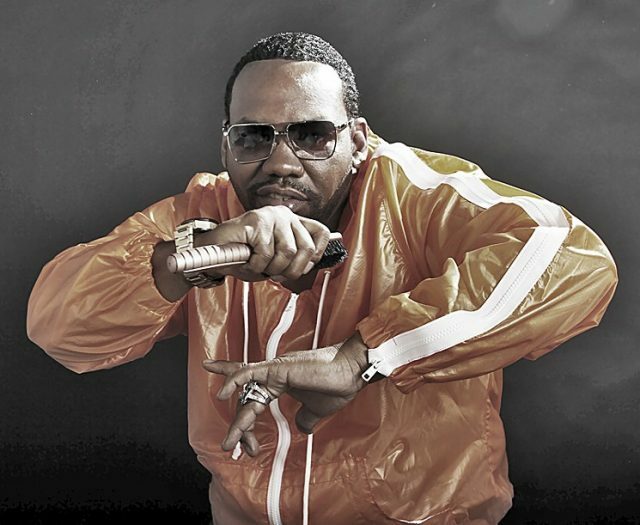 As reported by Wine Spectator, the Wu-Tang Clan rapper has released Licataa Lambrusco in the US, which comes in a pale blue chrome bottle with an archer logo. 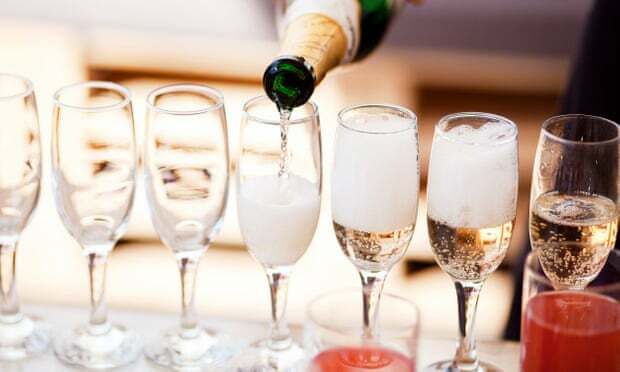 A man was left red-faced after his attempt at sabrage didn’t exactly go to plan, with the bottle exploding all over him as he tried to remove the cork with a knife. Do Wine Drinkers Really Trade Up? 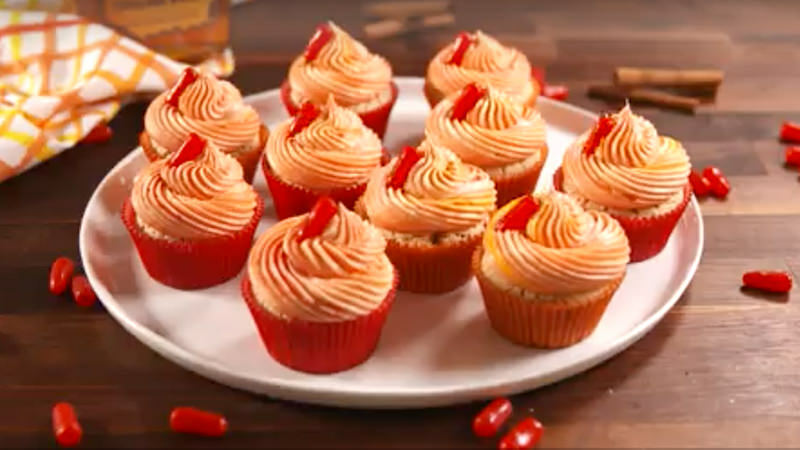 Fireball Cinnamon Whisky-dosed cupcakes are here, and all you have to do to make the dream come true is add Fireball to your cake batter. What makes a wine vintage? 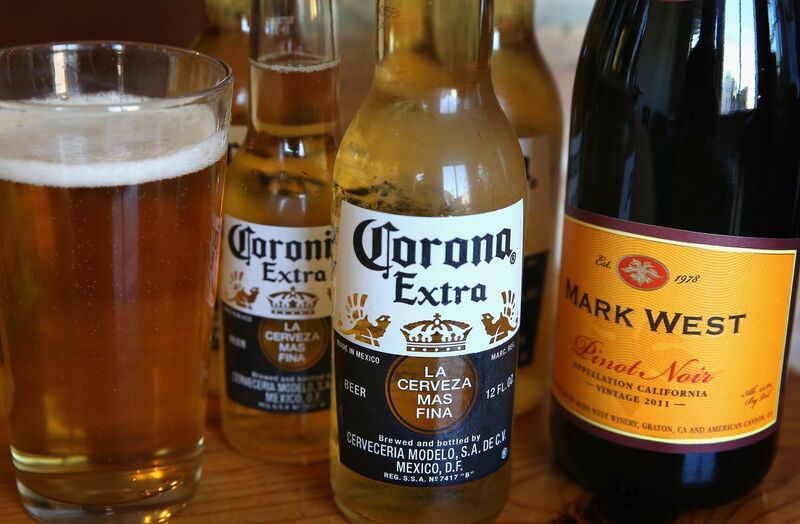 When it comes to beer, though, the rules start to get a bit fuzzier. 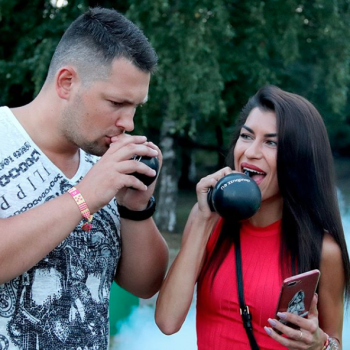 Cloud Buzz is described as a “refreshing” way to enjoy shots of all spirits, served in specially designed balloons that are pressurized, and contain vaporized premixed spirits inside. 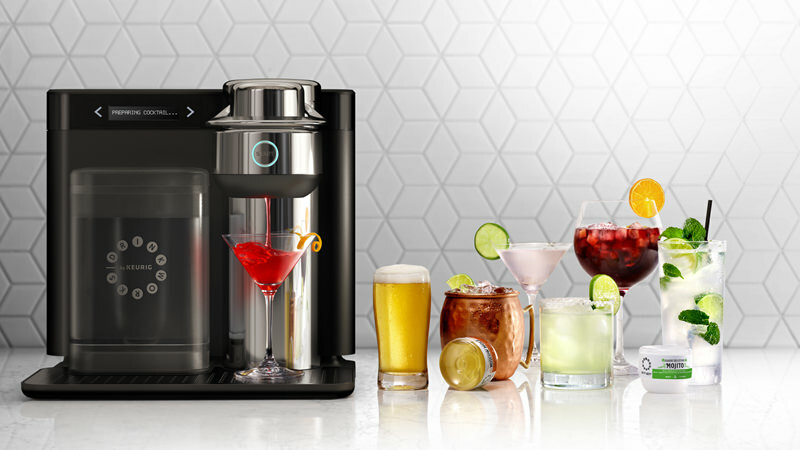 Drinkworks, a joint venture between the single-serving coffee machine maker, and Anheuser-Busch InBev (AB InBev), announced a new pod-based drinks maker. 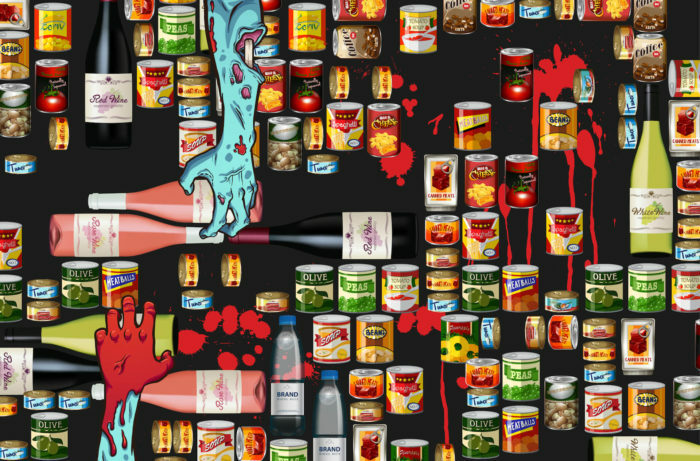 Is Less Really More for Wine Labels? 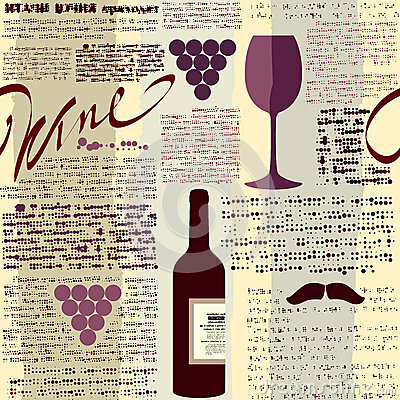 Wine labels have a habit of being dense and over-complicated. 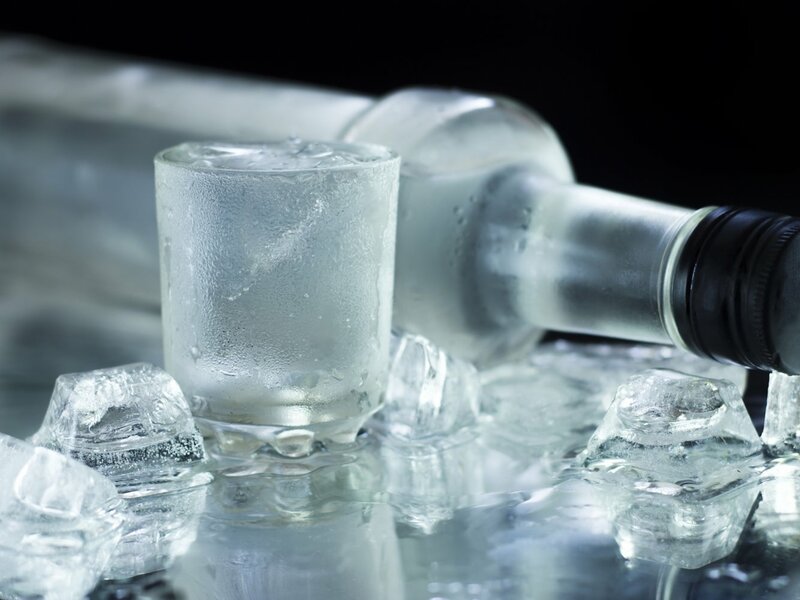 Pernod Ricard has launched a new podcast highlighting happenings across its portfolio. The bi-weekly podcast will run every other Wednesday, hosted by Tavarus Hogans, Pernod’s manager of performance and learning, and will center on “Four Key Things To Know” each week, including timely, seasonal products in the portfolio alongside material on new-and-noteworthy launches. For thousands of years, wine has been a product that has played a role in festivities, religious events and day to day life. 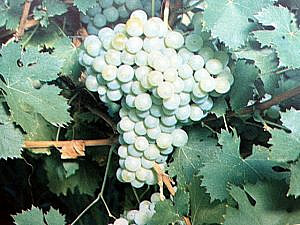 While some of those wines have been made from other fruit sources, the majority have relied on the production of grapes. Could this be set to change? After revealing its Top 10 Wines of 2018 in a countdown last week, Wine Spectator has now published its full Top 100 Wines list for the year. 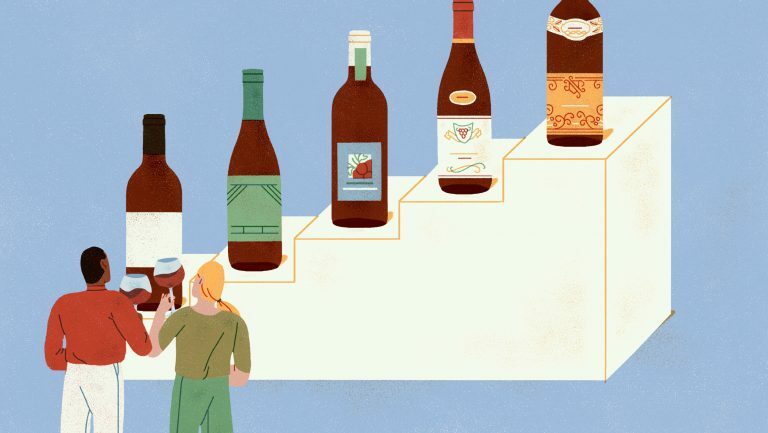 Each year, Wine Spectator editors survey the wines reviewed over the previous 12 months and select the Top 100, based on quality, value, availability, and excitement. 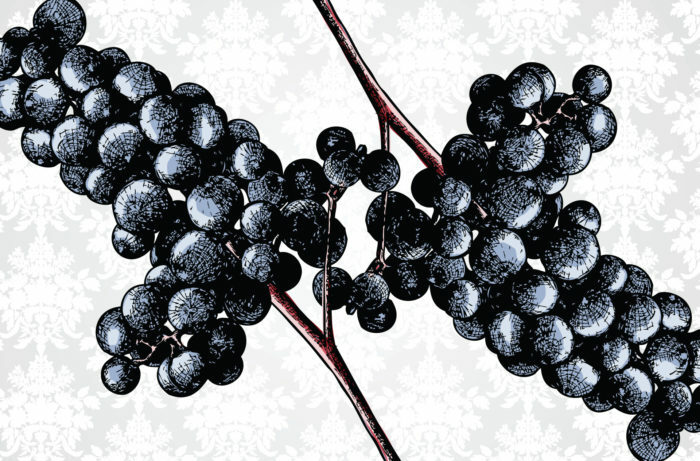 This annual list honors successful wineries, regions, and vintages around the world. 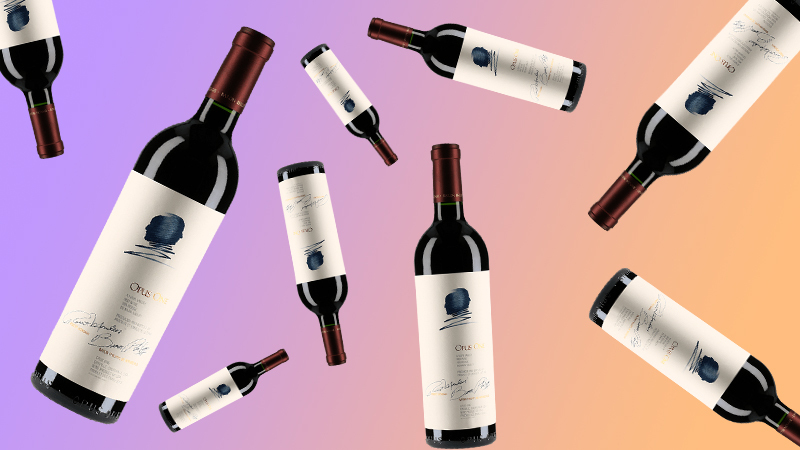 For detailed profiles of the 2018 picks, check out the complete Top 100 Wines of 2018 package in the upcoming December 31, 2018, issue of Wine Spectator, which hits newsstands on December 4.
Cooper & Thief Cellarmasters, part of the Constellation portfolio, has launched a new Cooper & Thief Cabernet Sauvignon ($60) that has aged six months in rye whiskey barrels from Constellation’s High West Distillery in Utah. 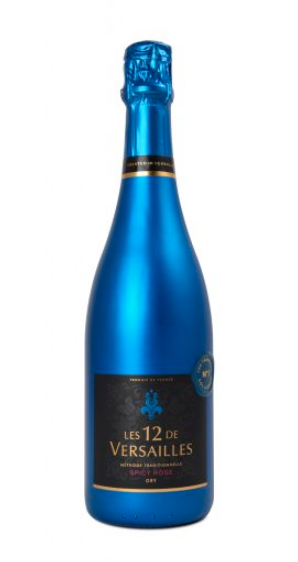 This is the third entry in Cooper & Thief’s line of wines aged in spirits barrels, joining the Red Blend (primarily Merlot and Syrah) aged in ex-Bourbon barrels and Napa Valley Sauvignon Blanc aged in former Casa Noble Añejo Tequila barrels. 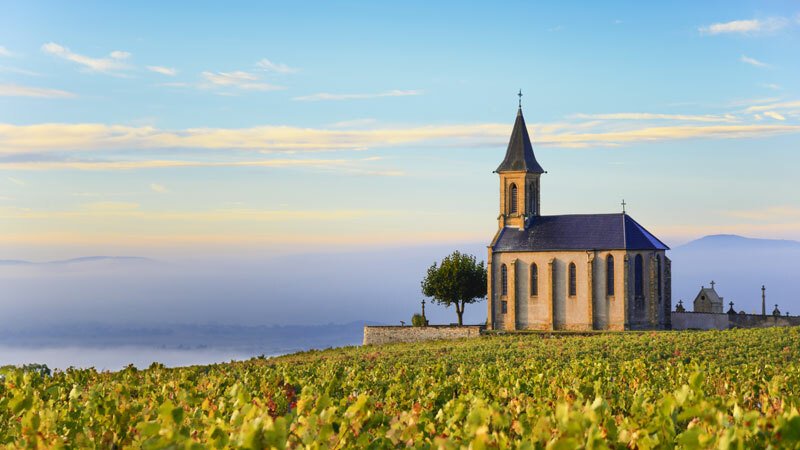 Made from acidic and fruity Gamay, Beaujolais is lighter-bodied and lower-alcohol than most reds, and offers a (relatively) inexpensive alternative to similar styles from nearby Burgundy. 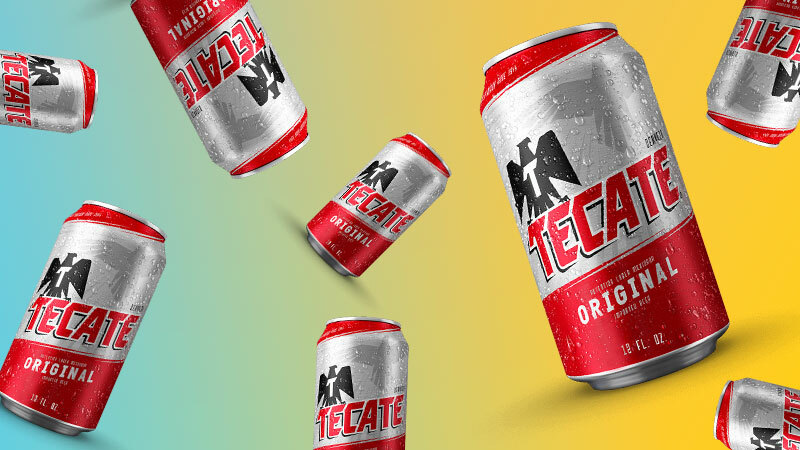 Tecate is more than a Mexican lager. The self-described “true champion of men” claims to provide legendary nights, lifelong memories, and an ideal grilling companion. It also, somehow, thinks it is the perfect light lager for ladies. 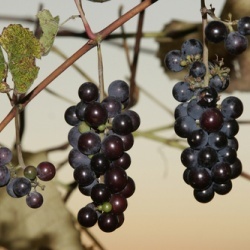 Wineries are forbidden from referring to specific Oregon winegrowing regions on their labels and marketing materials if the grapes are trucked from Oregon to California for production. 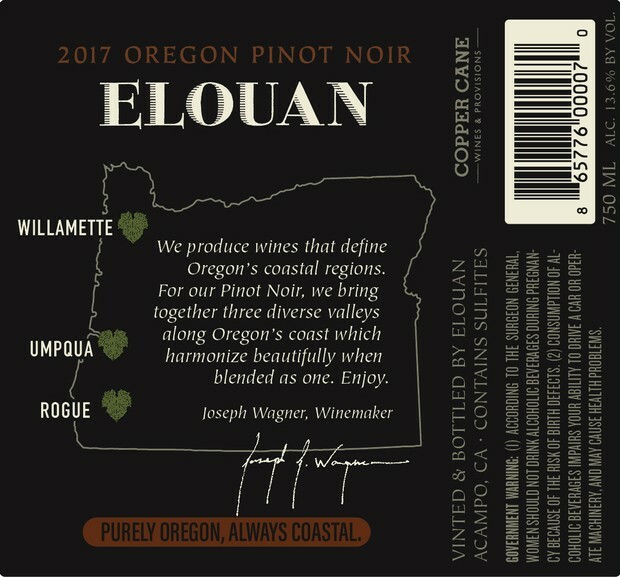 All such wines are limited to using the word “Oregon” to describe their point of origin. 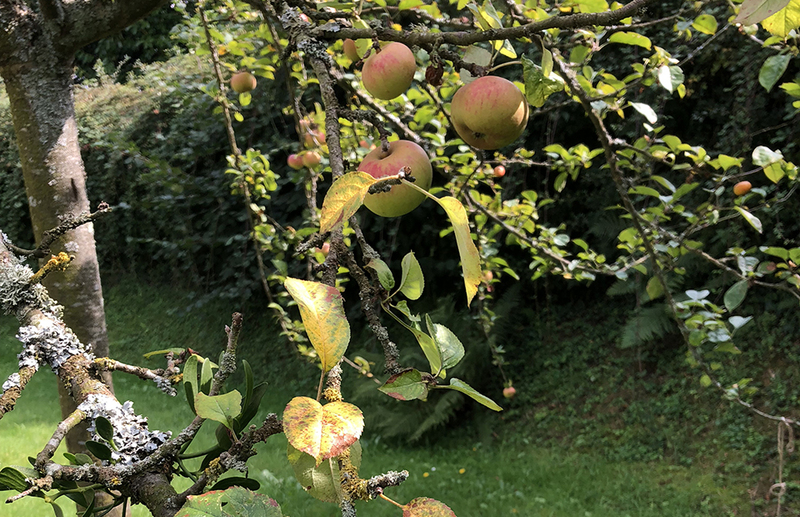 Reduction in yields was blamed on a heatwave in August and heavy rains that interrupted harvesting in October, as well as flash floods and storms in the Douro. 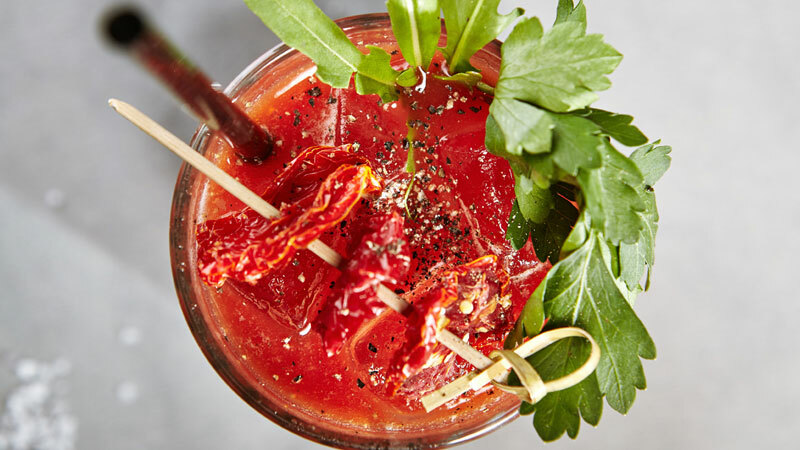 While a trend for veganism looks set to dominate the hospitality industry, will 2019 be the year it makes a significant mark on the drinks industry? 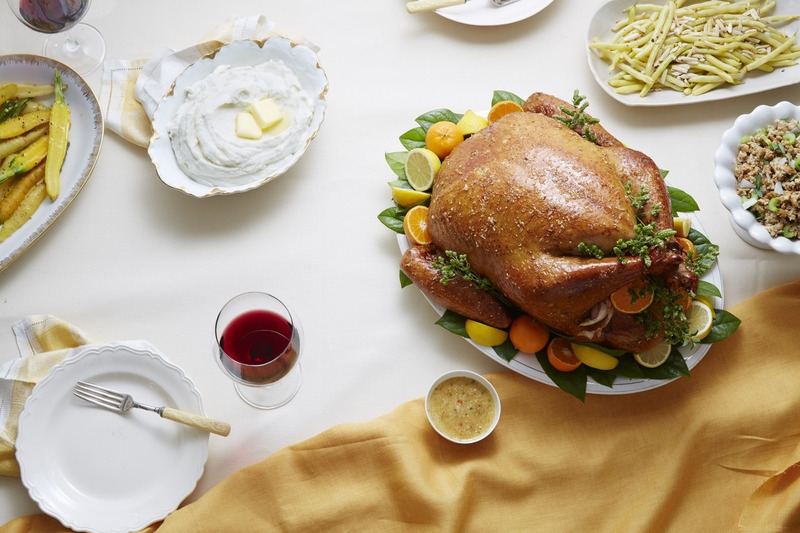 How to not be boring, when it comes to all things wine for the holidays. 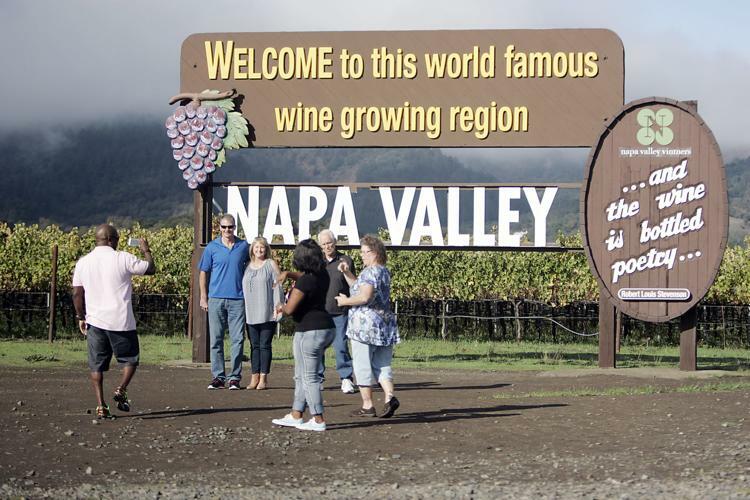 The U.S. wine culture, one of the world’s youngest, has relied on a few grapes for its table wines. Wine regions in many other areas make table wines from far more grape varieties than most Americans ever imagined. 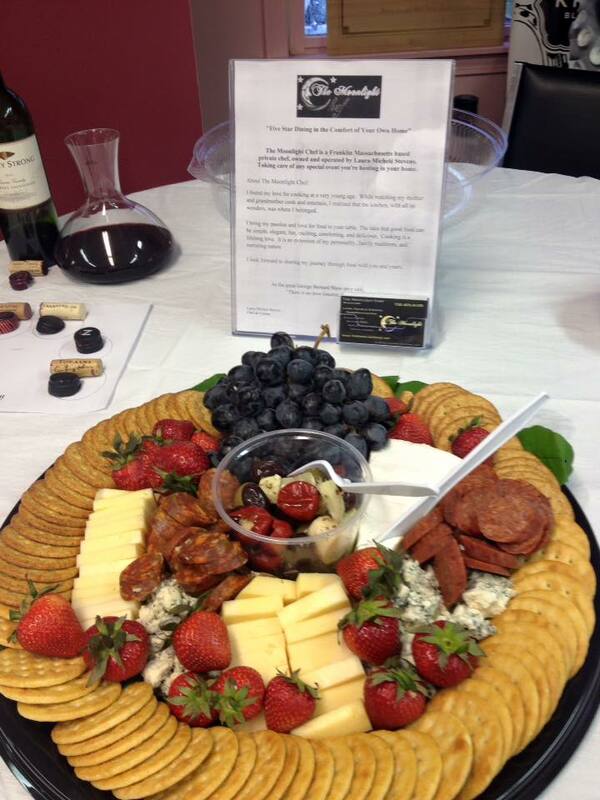 Sharing good food enriched with even better drink, the holidays seem to make their own memories. Here are seven things I learned about Costco’s wine. Did you know these things? 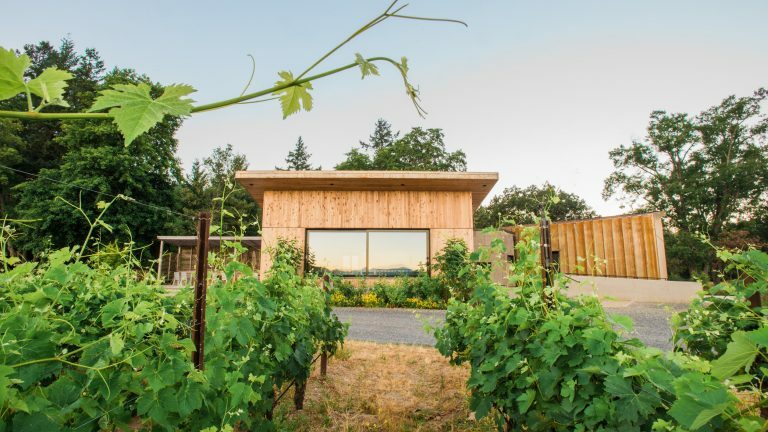 When we talk about Oregon wine country, we are typically speaking about one place: the Willamette Valley. 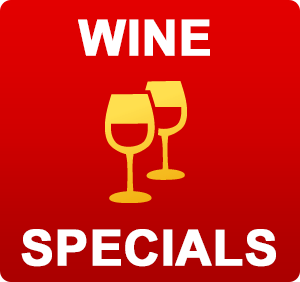 On average, the value of the wine cellars of self-described wine connoisseurs is between $50,000 and $100,000. 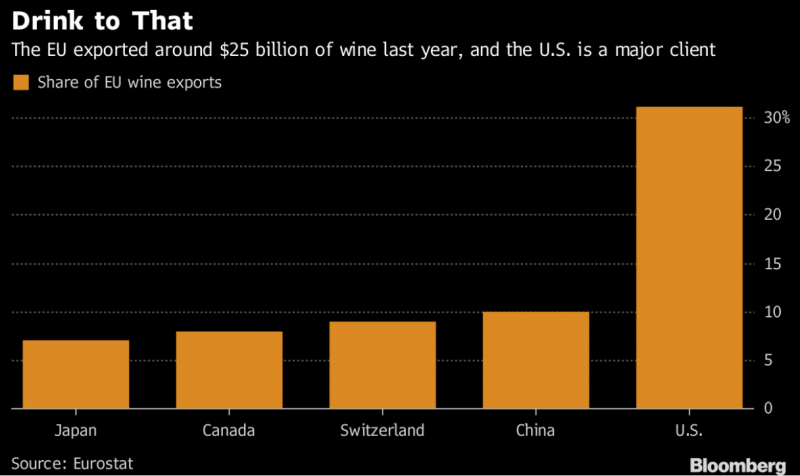 The total value of collectible wines and spirits in private hands has been estimated to be between $5 and $10 billion. Less than 10% of those collections are insured. 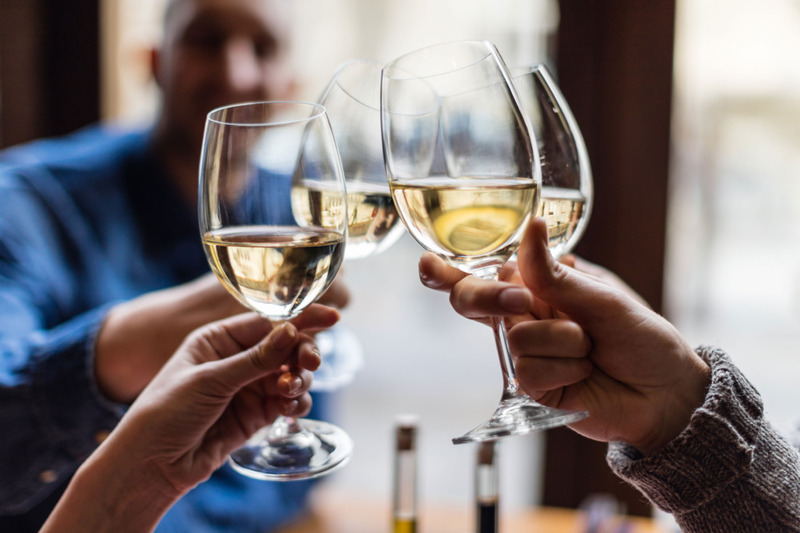 According to Reuters, sales of organic wine are forecast to top 1 billion bottles by 2022, up from 676 million last year and nearly three times the 349 million bottles sold in 2012. He told the Australian paper that the trick to making any wine taste better is to picture someone “you love dearly” while you’re sipping it. To test the theory, he said you should then take another sip while thinking of someone you actively dislike. 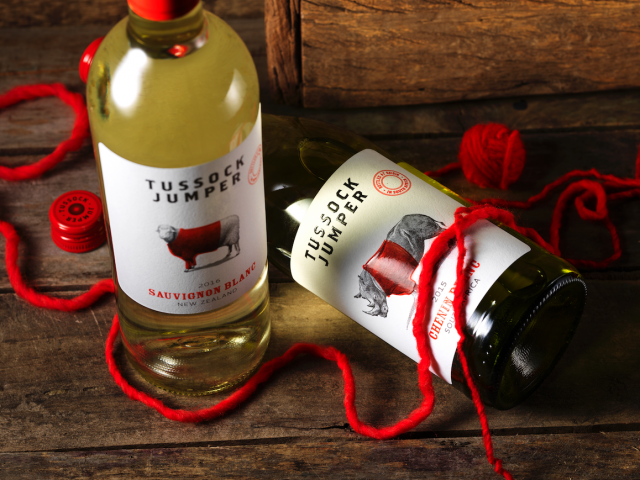 Just scan the front label, and the animal will come to life to tell the consumer about the product in an accent reflecting the source country of the wine. As anyone who has ever watched any sports broadcast can attest, nothing is more American than beer. 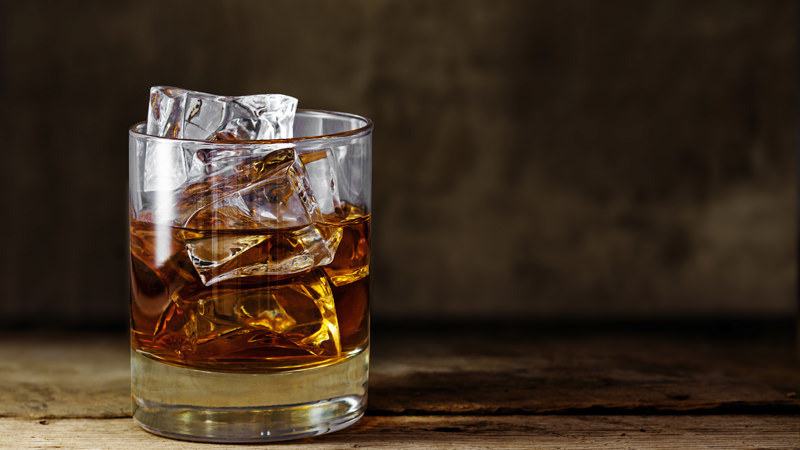 The company has agreed to long-term supply contracts with Sazerac for five of the brands for 10 years. DOES GALLO PRODUCE 1% OF THE WORLD’S WINE? By comparison, Coca-Cola owns about 50% of the global soft drinks market, while Anheuser-Busch have a 28% share of the global beer market. Wine is situational. Wine doesn’t exist outside of a drinking experience, and that experience is part of our perception of wine. 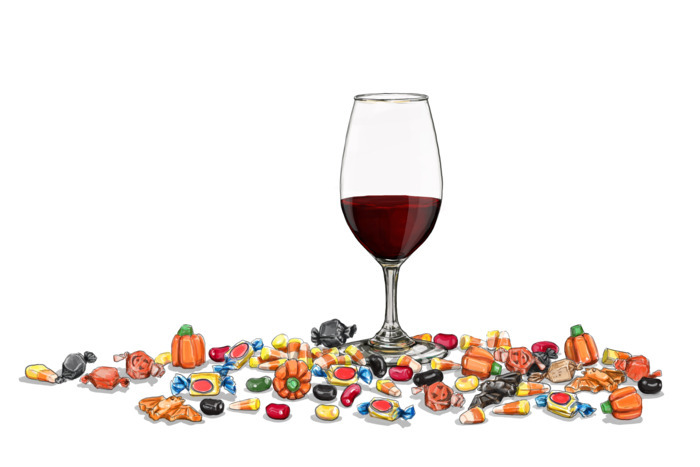 For the last 8,000 years, wine’s closest companion has been food. Indeed, the two are so close that they are often thought of as inseparable. 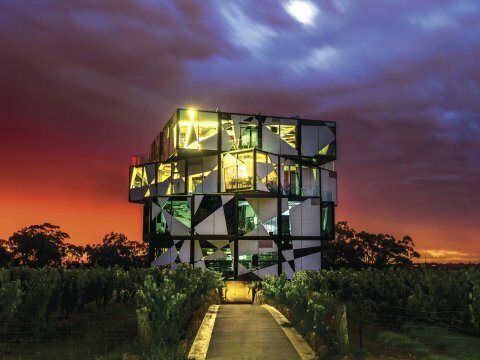 Best Of Wine Tourism awards, we bring you the top 10 best wineries in the world for tourists. 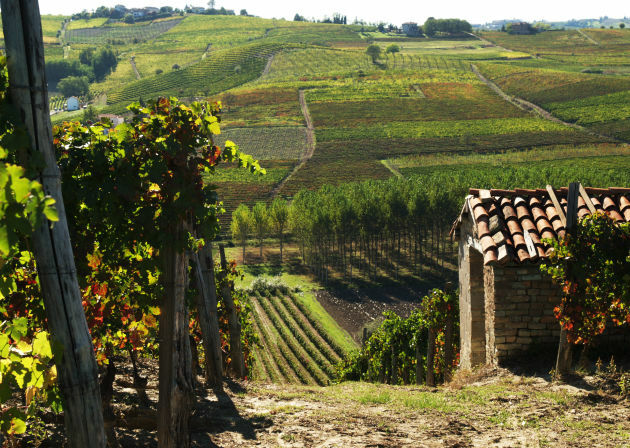 Let’s look at the major production zones for Nebbiolo in Piemonte. If you’re struggling to understand the difference between the two, you’re not alone. 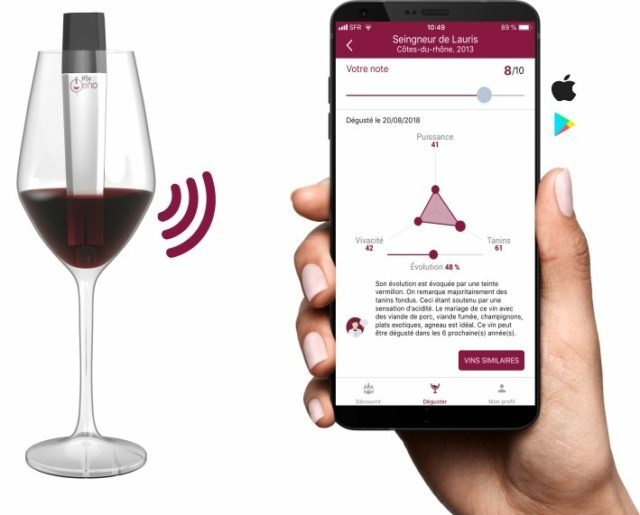 The average American consumes nearly 3 gallons of wine per year, and a new device from France is revamping how Americans choose its wine by delivering enology to the smartphone. 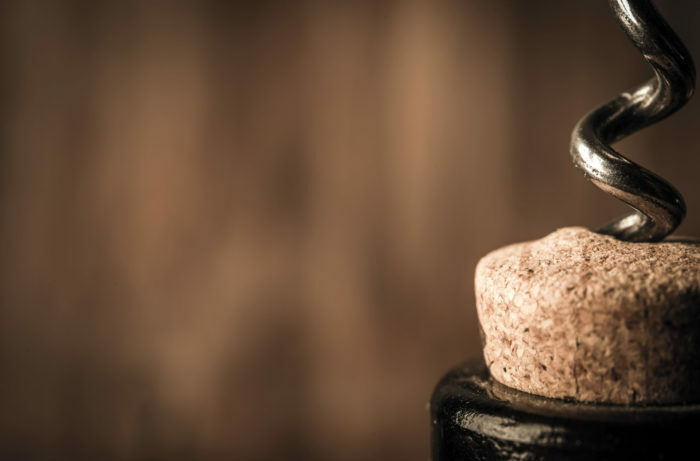 Smelling the cork after opening a bottle can seem like a relic of the past. 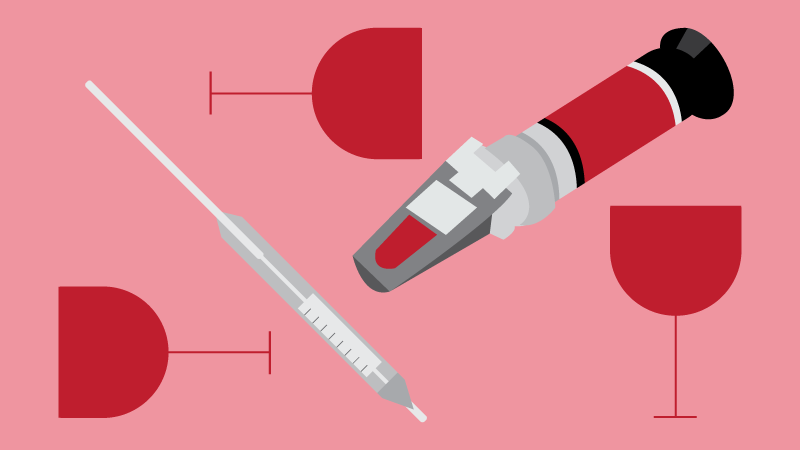 But you’re making a huge mistake if you skip this step in evaluating wine. 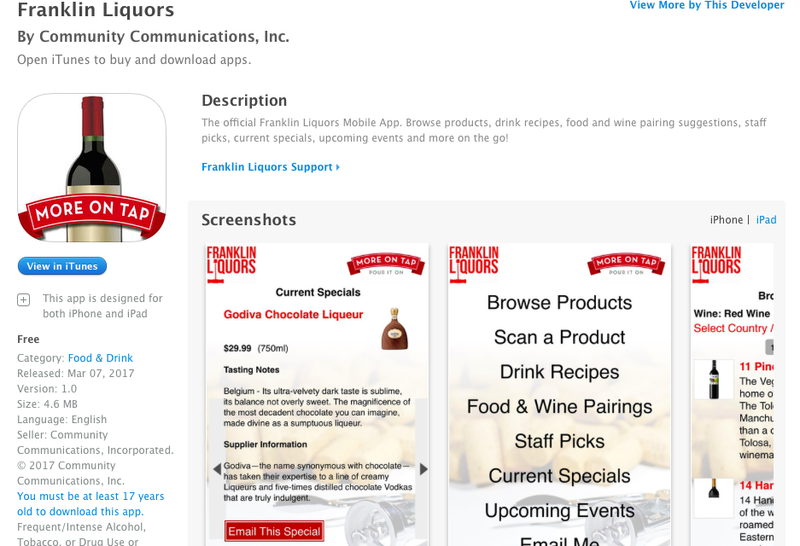 Winery Websites Must Comply With The Americans With Disability Act, But How? 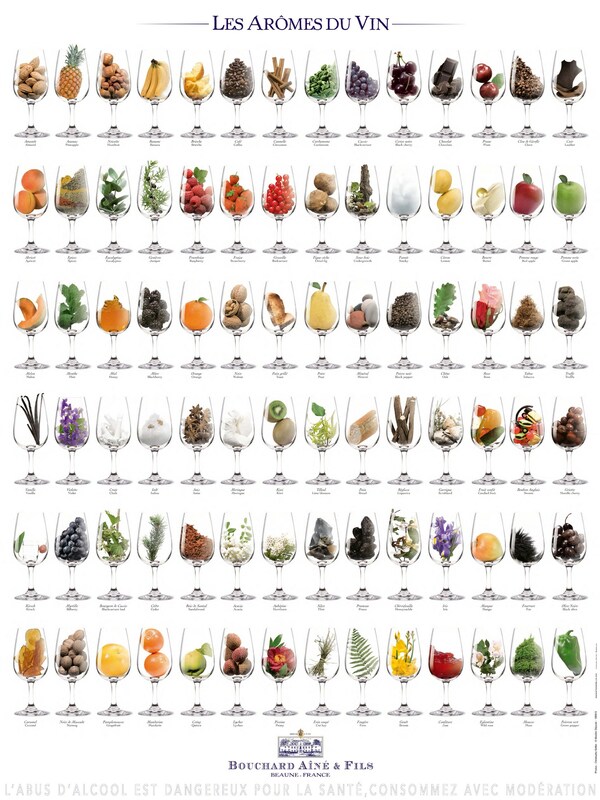 How Many Wine Grape Varieties Exist? 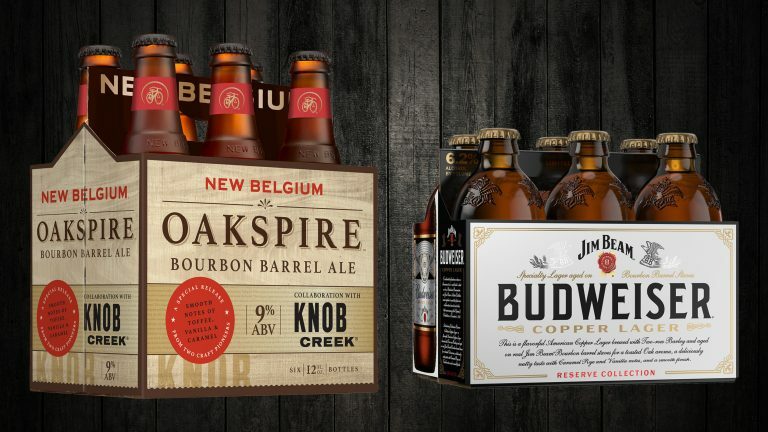 This year’s list of top-ranking beers, based on 2017 sales, is similar to last year’sresults, with a few key changes. 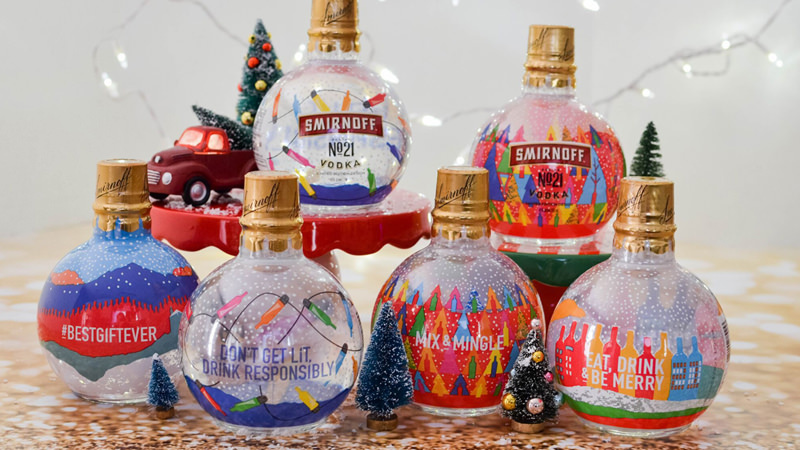 The holiday season is fast-approaching and Smirnoff is helping you, and your Christmas tree, get lit this year with its newly-released vodka-filled ornaments. 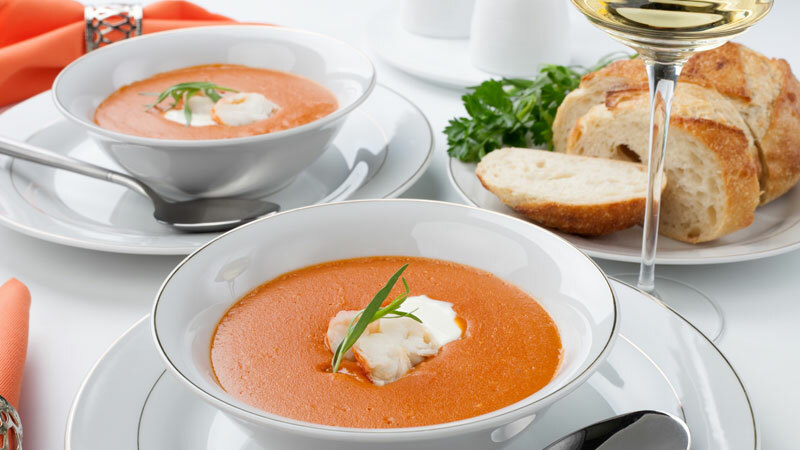 Unlike a literary, pictorial, cinematographic or musical work, the taste of a food product cannot be identified with precision and objectivity, judges said. Trump went after France on several fronts in tweets Tuesday, including blasting tariffs on its emblematic wine. 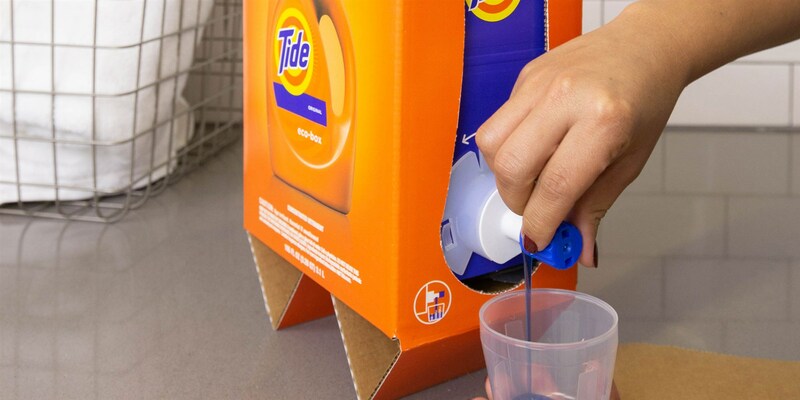 Tide’s new Eco-Box detergent container looks like a box of Franzia. 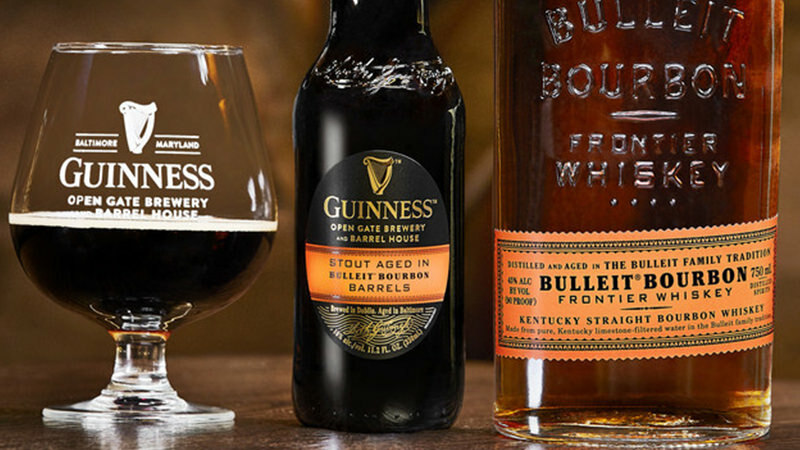 According to an announcement from Diageo, parent company of both Guinness and Bulleit, the beer is brewed at the Guinness brewery in Dublin, then aged for eight months in Bulleit bourbon barrels in Baltimore. 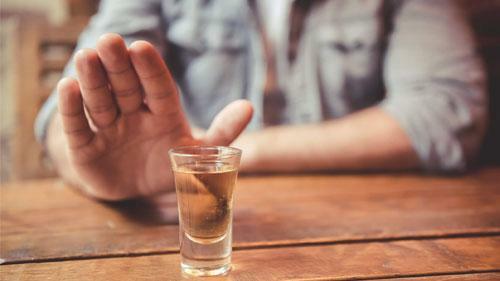 Screening and counseling for unhealthy alcohol use could become part of a standard doctor’s visit, according to the United States Preventive Services Task Force. 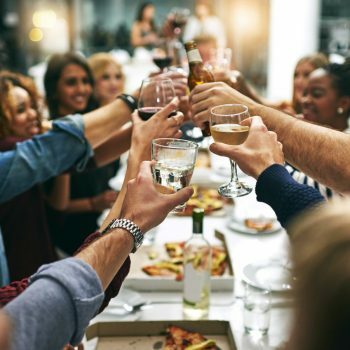 Researchers at the University of Pittsburgh have confirmed, by studying global data, that it’s true around the world: Climate and drinking patterns are inversely related, meaning the warmer and sunnier the climate, the less people drink alcohol. 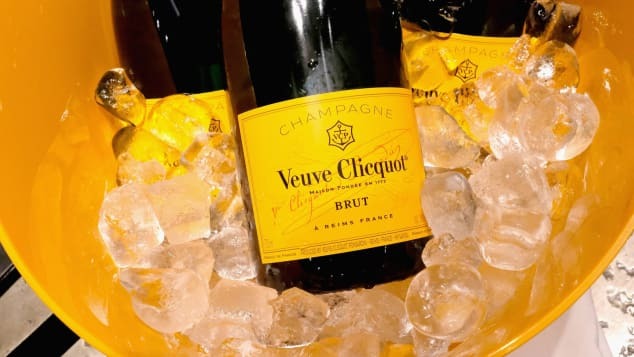 The French champagne house takes its name (which translates as “Widow Clicquot”) from an extraordinary, pioneering lady who overcame unimaginable hurdles to transform Veuve Clicquot into one of the world’s most sought-after fine wines. Could the Finger Lakes be the next Napa Valley for whites? 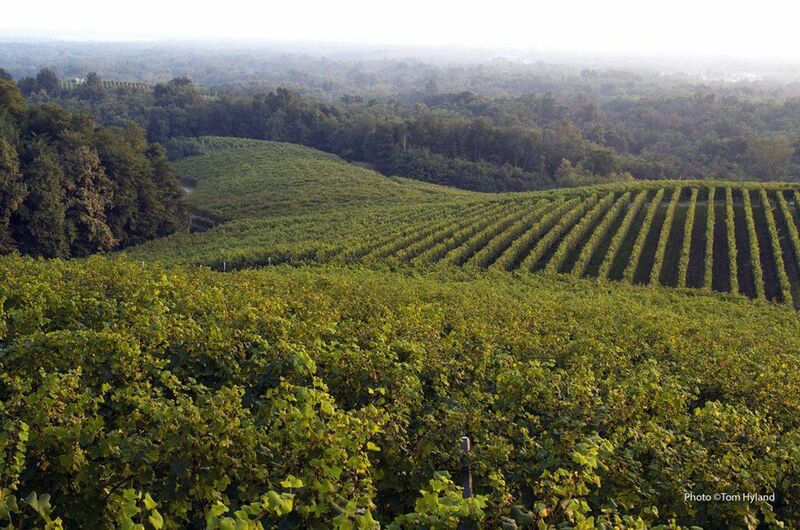 The Finger Lakes were named the “Best Wine Region in the United States” by national daily USA Today. Around 130 wineries strive to turn the spotlight on a region where admittedly the climate can be harsh, but whose potential for growing top Rieslings is undeniable. 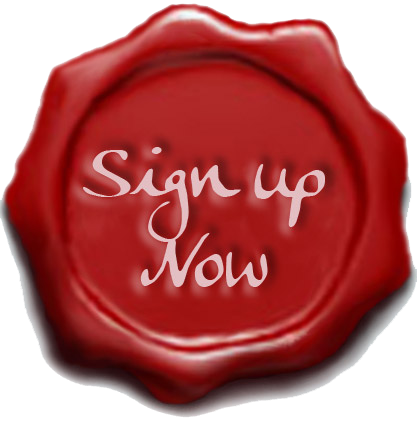 The Top 10 list is now available on top100.winespectator.com, with the full Top 100 list to be revealed on Monday, November 19. Here are five fallacies you may have heard and why each one is dead wrong. A real thing, the diet has been exhumed from the pages of Vogue, circa 1977, and is making the viral rounds. Patrón Tequila has debuted a new large-size, limited release bottle for its Silver Tequila ahead of the holiday season. Decorated with a white and green ribbon design, the new one-liter bottling features a metal label and a metallic stopper, both engraved with the signature Patrón bee. The 2018 Limited Edition 1-Liter Patrón Silver Tequila is available nationwide, retail priced at $70 a 750-ml. 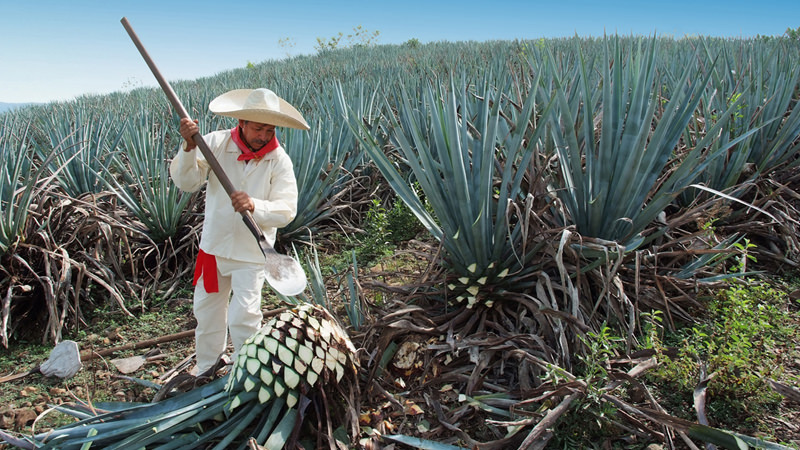 Bacardi fully acquired Patrón Spirits back in May, in a transaction that valued the company at around $5.1 billion. 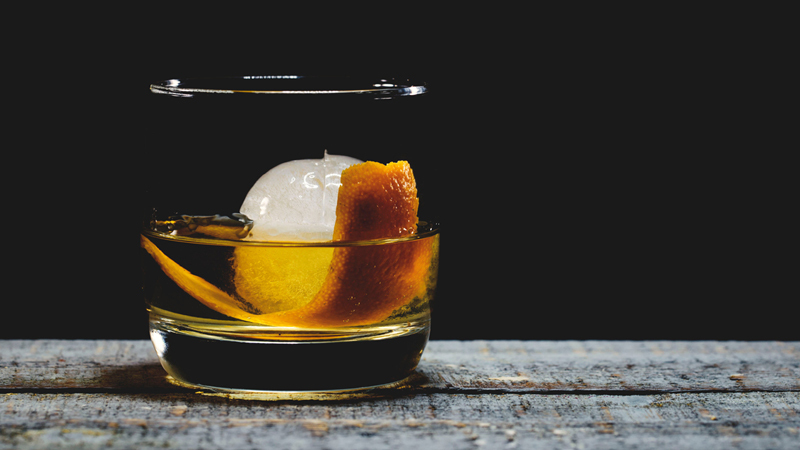 Tips and tricks for making excellent Old Fashioneds. Here is everything you need to know. Launched in 1979, when interest in Napa winemaking was still nascent, Opus One is an ambitious joint venture between two of the world’s most esteemed winemaking figures. 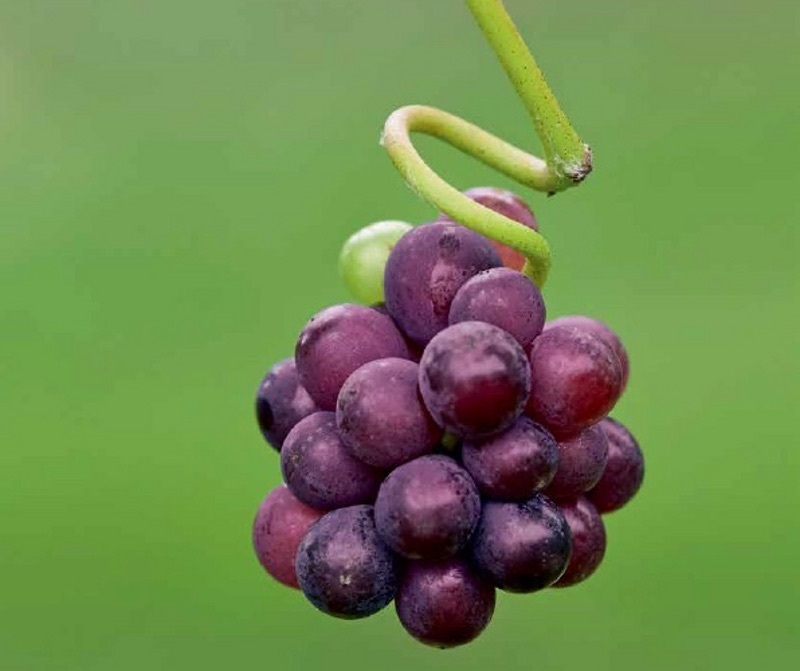 How many grape clones are there per variety? The number of clones is often related to the genetic mutation rate of the variety. 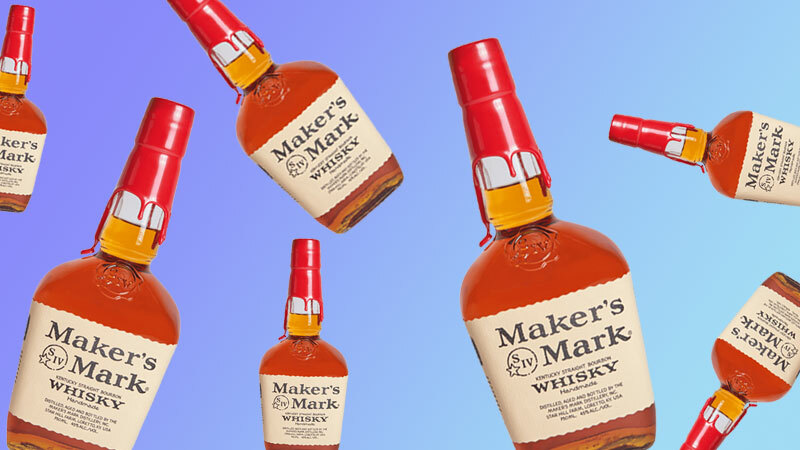 There are bottles that can amplify the smoky, fatty greatness of perfect brisket or a rack of tender ribs. It’s true: Barbecue is great, but wine — specifically Côte-Rôtie from the Rhône Valley of France — can make it even better. 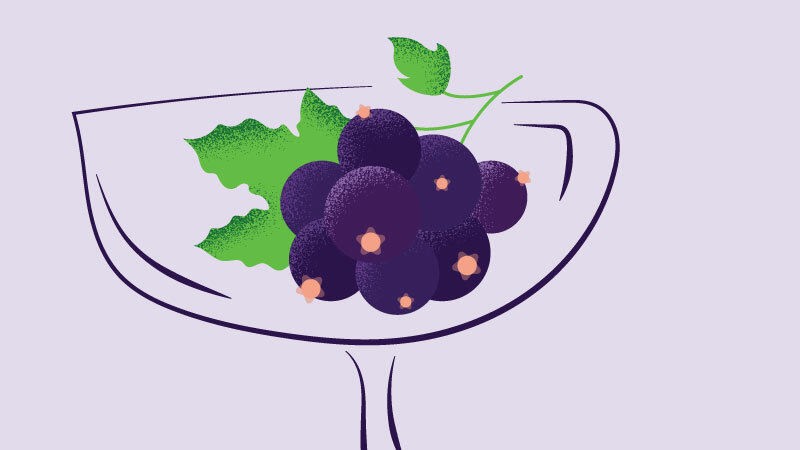 The ability to calculate sugar levels in a liquid, such as grape must or a wort, allows winemakers and brewers to calculate what its alcohol content will be after fermentation. 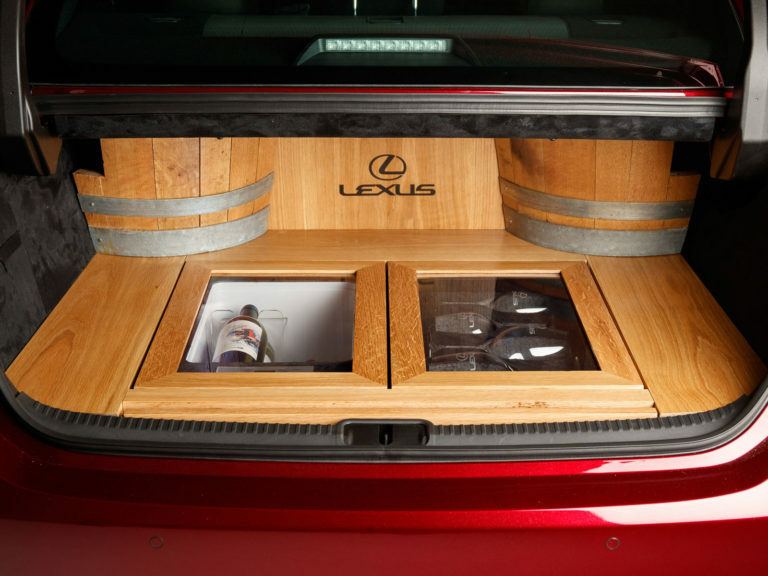 Lexus’ ES 350 concept car is a luxury wine tasting room and 3.5-litre engine sports car rolled into one. Francis Ford Coppola Winery has introduced Apocalypse Now Red Blend in celebration of the namesake film’s 40th anniversary. A blend of Sonoma County-sourced Cabernet Sauvignon, Syrah, and Malbec, the new wine features a label that, when scanned by a smartphone, reveals rare videos related to the production of Apocalypse Now, including commentary from director Francis Ford Coppola. The 2015 Apocalypse Now Red Blend ($30 a 750-ml.) 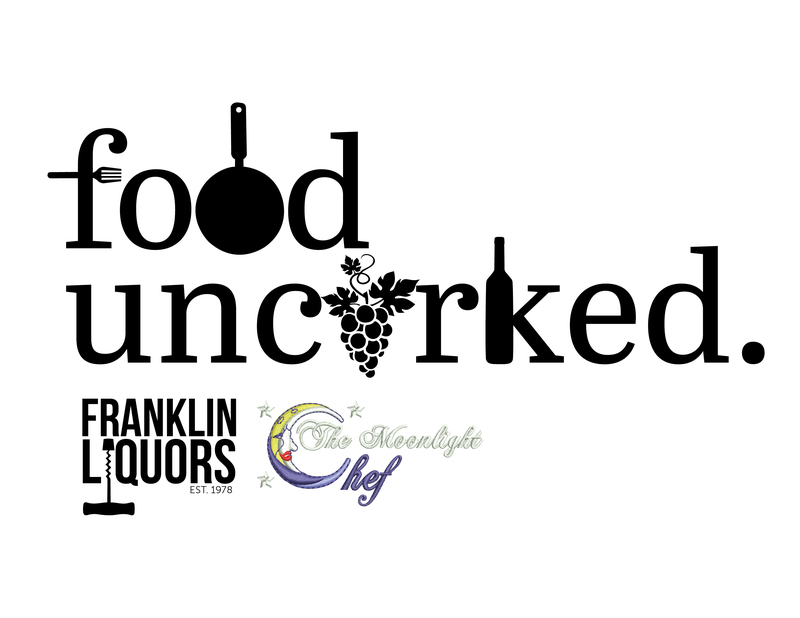 is a limited edition offering that will be available online and at the Francis Ford Coppola Winery tasting room in Geyserville, California starting November 10. Four hundred years before Portugal began producing Port, an alchemist in France discovered the method, known as mutage, of creating fortified wines. 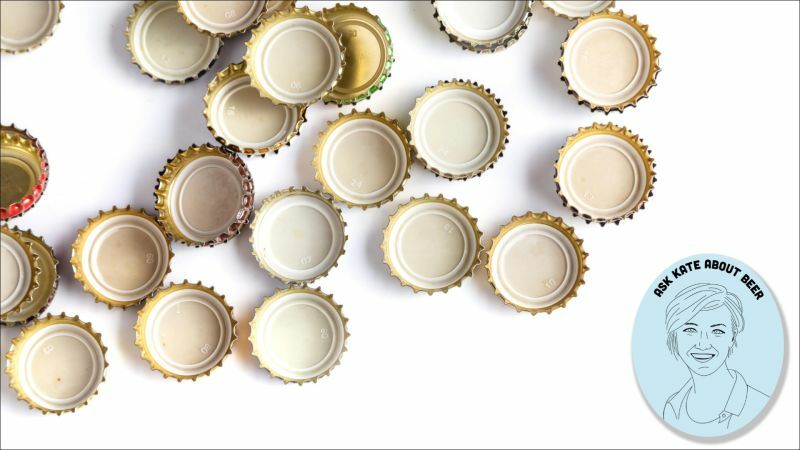 The biggest change in storing lagers since the 1950s means tap beers taste fresher than ever. 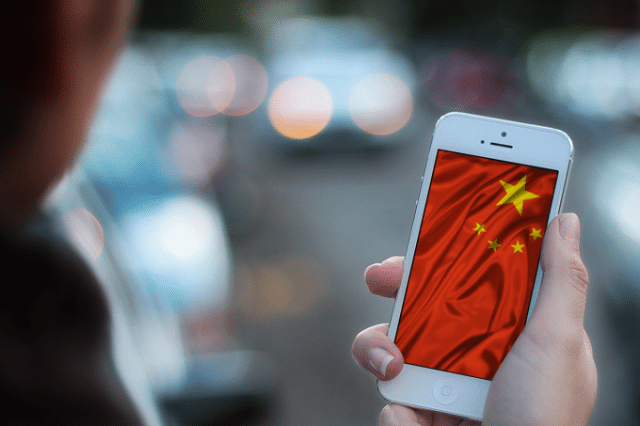 China isn’t the first place you probably think of when searching for quality wine, but Moët Hennessy and Maxence Dulou are trying to change that. 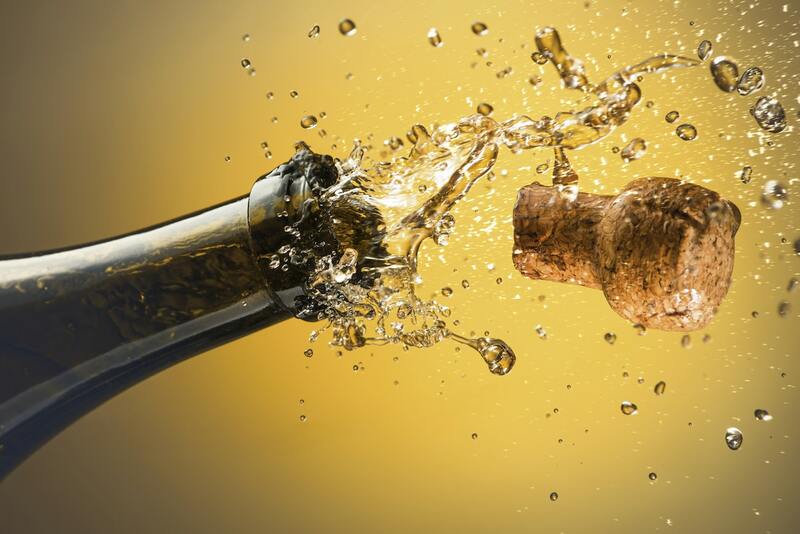 Popping a cork at a big celebration sets off a gloriously complex train of events. Phil Dooley explains. 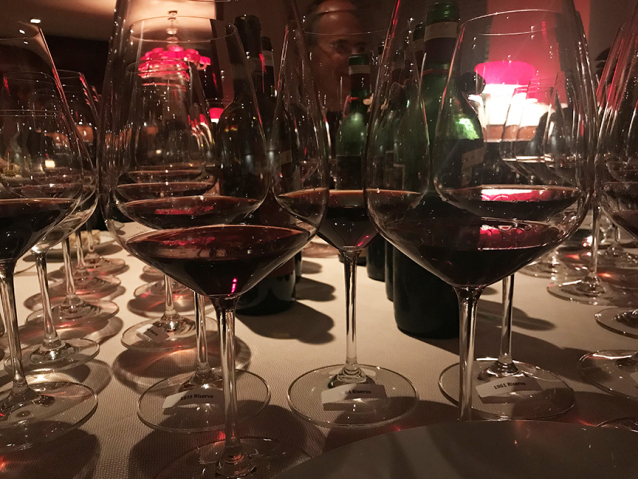 Wine Appreciation: connoisseurship or snobbery? We don’t have to venture far these days to realize that all is not well in the world of wine criticism. Italy has been the largest wine producer since 2015 when it overtook France, now in second place. Spain is in third place, while Australia maintains its fifth position. 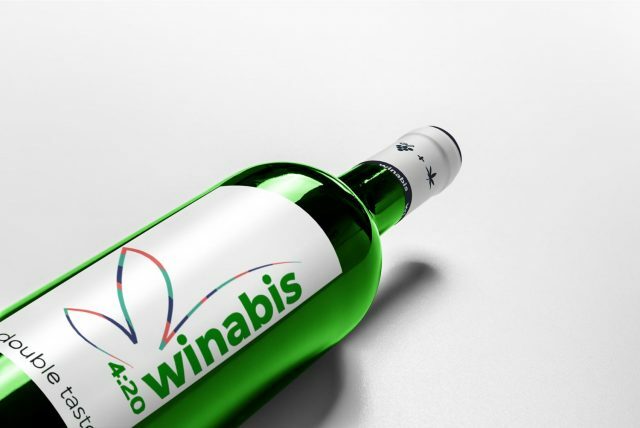 Wines are blended with a proprietary formulation of tasteless, odorless water-soluble ratio of THC and CBD derived from organic craft cannabis and powered by cutting edge technology. 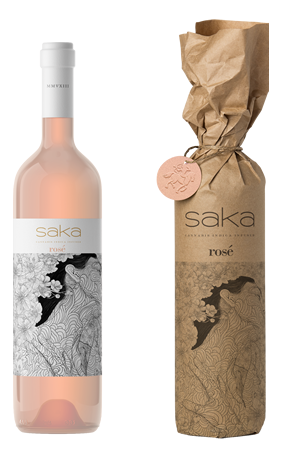 The first infused beverages of their kind, Saka promises to deliver a truly elevated infused experience. 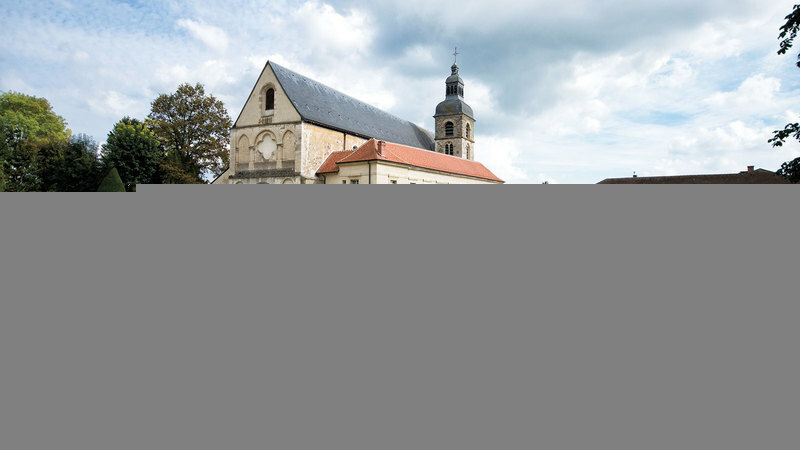 There are no wine appellations in Normandy. Grapes, revered elsewhere in France, are an afterthought in this region that stretches out into the English Channel on France’s northwest coast, about a two hour drive from Paris. This happens because of too much sugar, bottling too early, or excess carbonation. Interesting look at copper sulfate, a fungicide certified by organic marketing groups. What Does “Natural” Mean for German Wine? Among the world’s most environmentally conscious nations, Germany boasts a long history of organic farming. 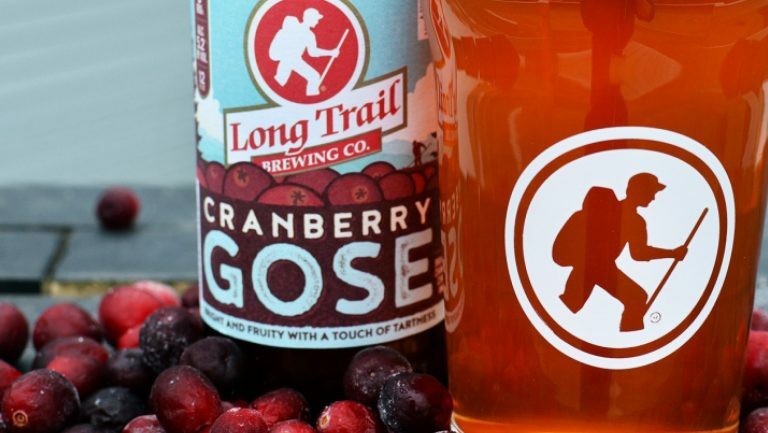 Massachusetts’ Artifact Cider Project has partnered with the Massachusetts Beverage Alliance to expand distribution across the state. 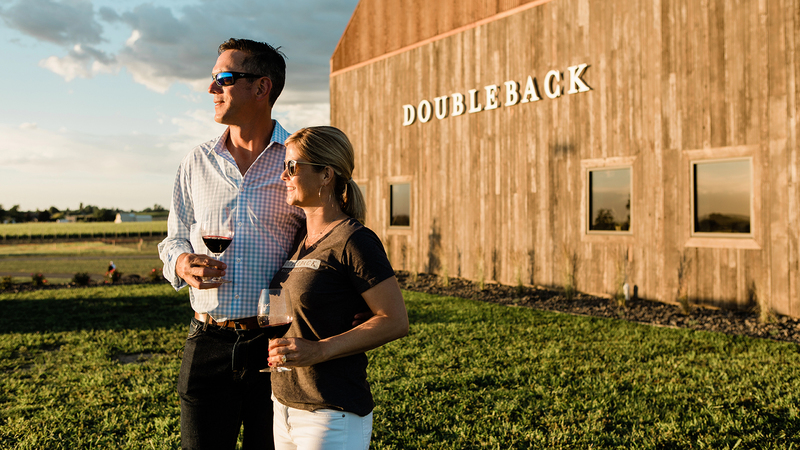 The cidery, which produces a range of dry ciders sourced from Northeastern orchards, has grown from 500 cases in 2014 to a projected 40,000 cases from the 2018 harvest. 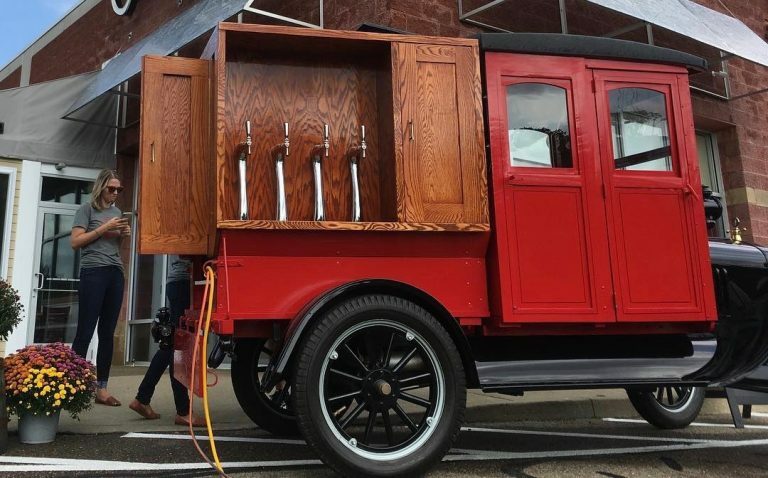 In addition, the company will be moving to a new location in the Pioneer Valley and plans to open a new production facility with a taproom in 2019. Artifact’s ciders are available in 16-ounce cans and on draft in six states. 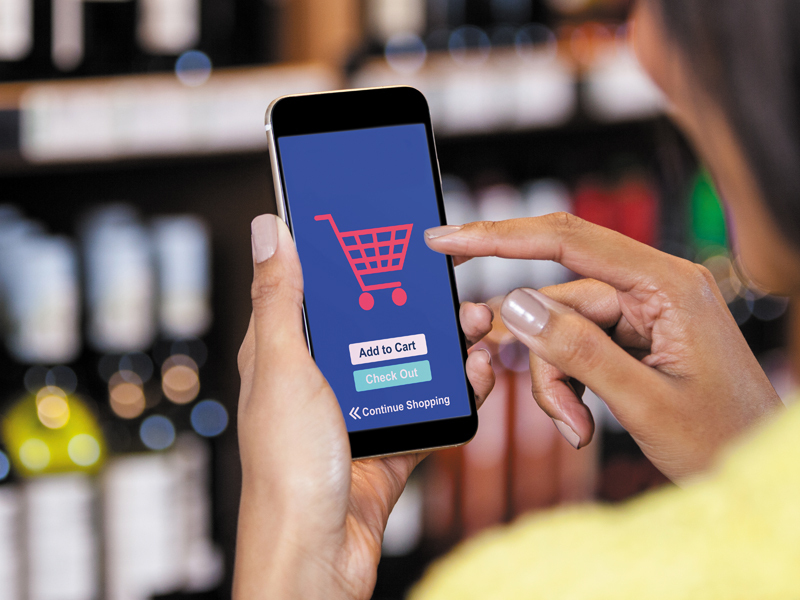 Now, as Generation Z comes of age and millennials continue to wield extraordinary spending power, convenience store retailers need to begin looking at their impact on the beer cave. 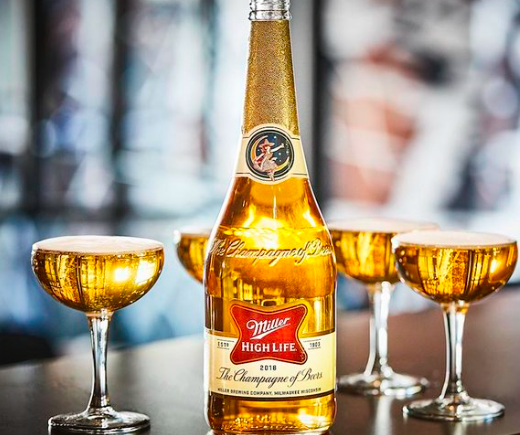 The suggested retail price is just $3.49—or significantly cheaper than most champagnes. The U.S. is home to a preponderance of the world’s indigenous grapes species and yet, only a few producers vinify choice heritage vines into quality wine. There are, of course, studies and surveys of the visitors and why they come. I think you can break them down like this. 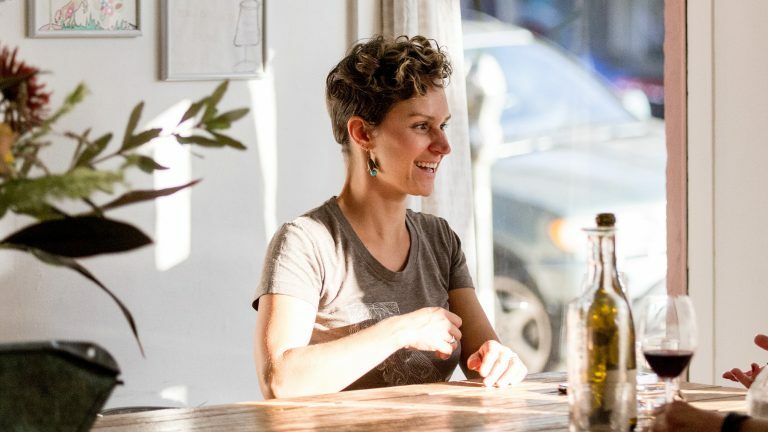 WHERE DO RESTAURANT INSIDERS TURN FOR INSPIRATION? 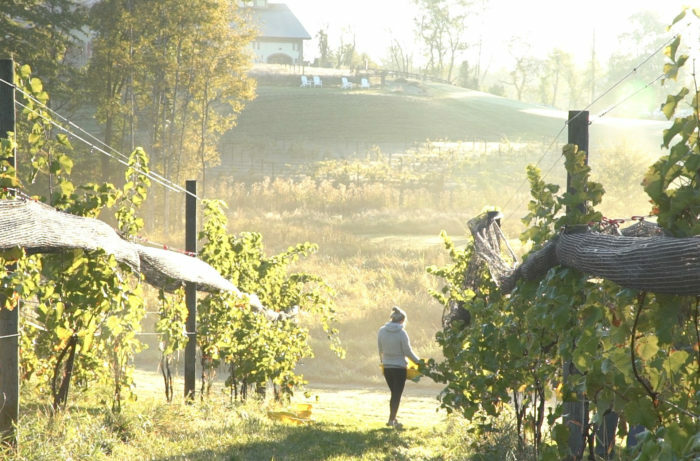 Don’t think of New Hampshire as wine country? A number of pioneering producers have turned to local grapes, fruits and honey to craft unique offerings. 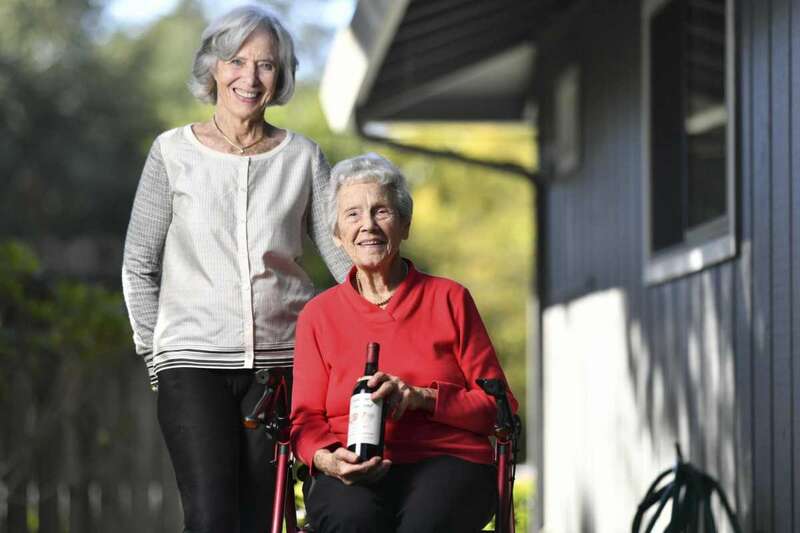 Despite the passing of its two iconic founding brothers – Robert and Peter – and the sale of the Robert Mondavi Winery in 2004, the current and third generation of Mondavi family members continues to show a keen interest in the wine business. Top restaurateurs turn to their own bottlings for a unique selling point. 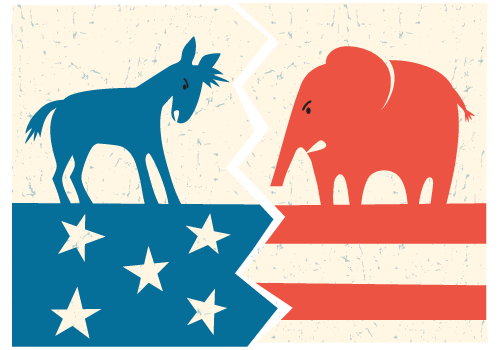 QUIZ: DO YOU DRINK LIKE A DEMOCRAT OR A REPUBLICAN? 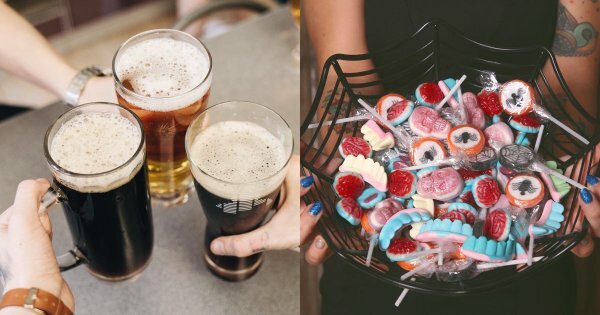 Find out which political party your drinking preferences most closely align with, according to polling data. The main reason breweries don’t use twist-offs is because they’re not as reliable a seal. 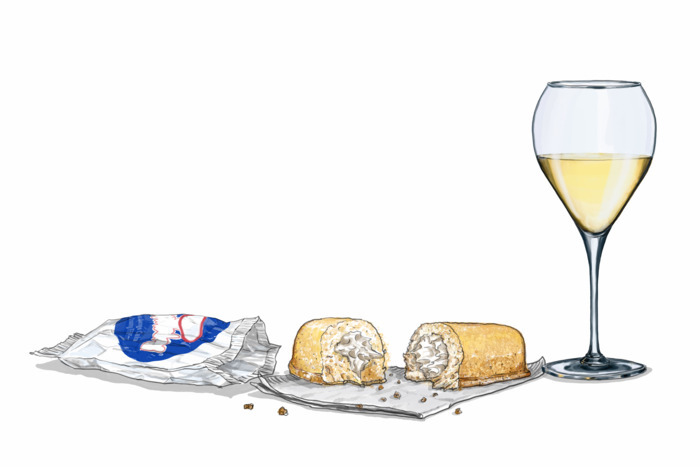 In a region celebrated for the prosecco and pinot grigio it ships around the world, Italy’s particularly sensitive white wine grapes have become a telltale of even gradual temperature increases — a climate slipping from ideal to nearly ideal. 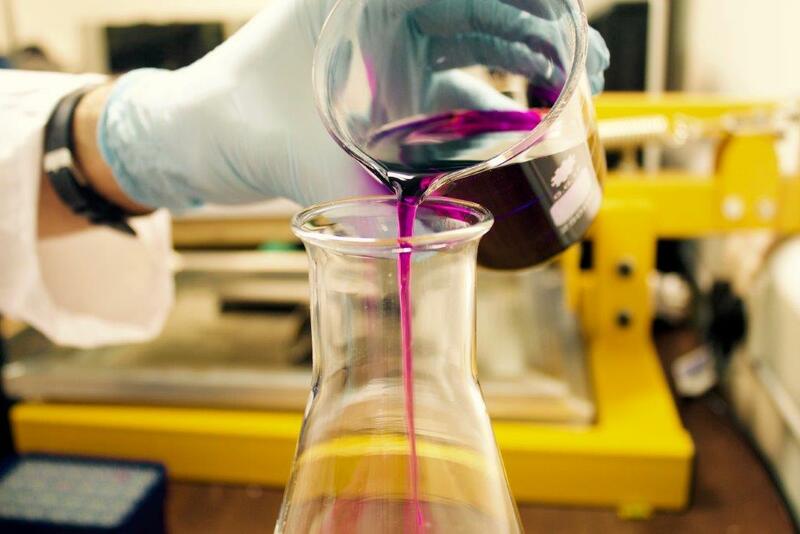 Adding sulphur (Sulphur dioxide, SO2) to wine is standard practice in winemaking. 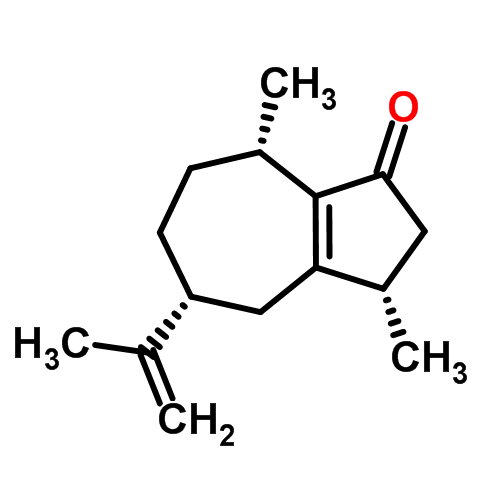 Its main function is to inhibit or kill unwanted yeasts and bacteria, and to protect wine from oxidation. 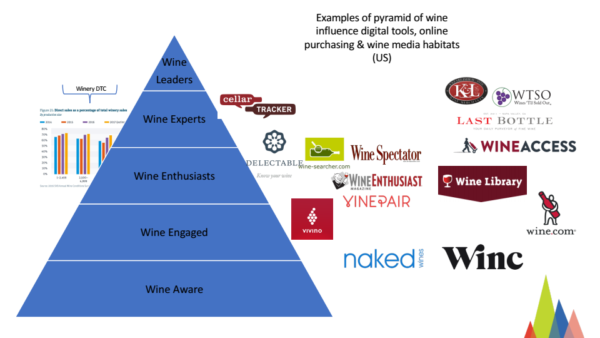 So how does the wine industry fit into the subscription economy? 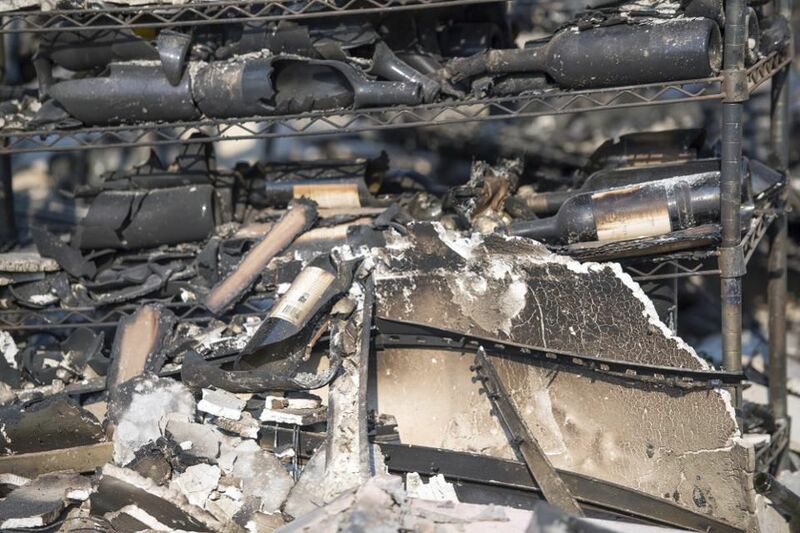 A Napa producer started a lawsuit over corks but then went strangely quiet. 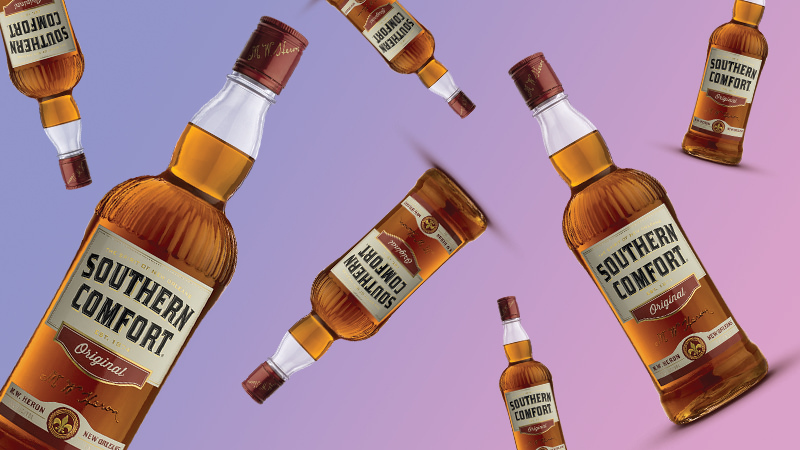 California brandy is better than ever. 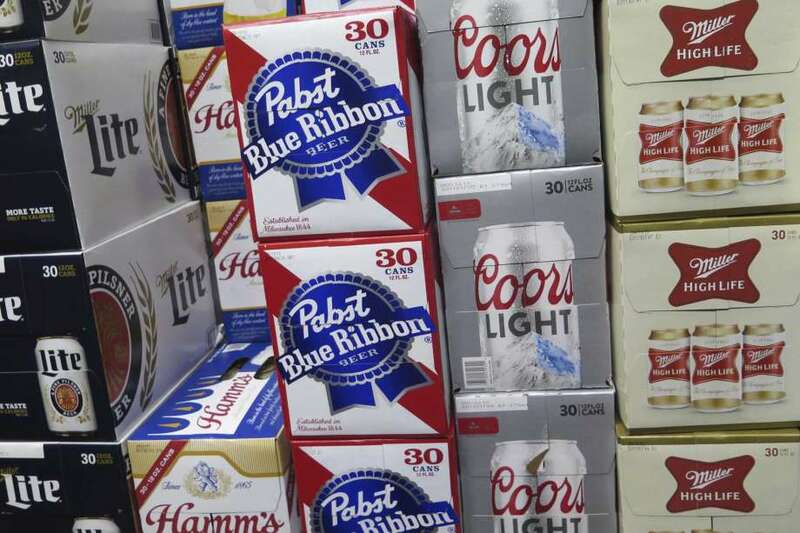 Budweiser and Bud Light’s battle to win over Americans continues. 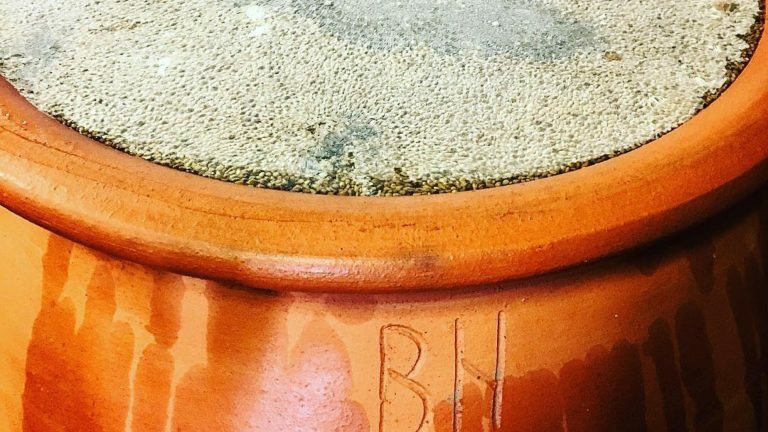 Pepper your wine with rotundone: yes, but until when? Got a thing for spirits? What about geography? Put your combined skills to the test by guessing the origins of each of these renowned spirits brands. 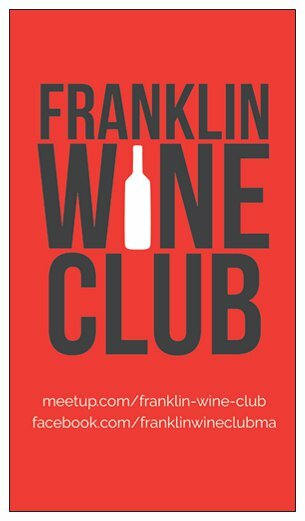 WHAT IS A “CULT” WINE? 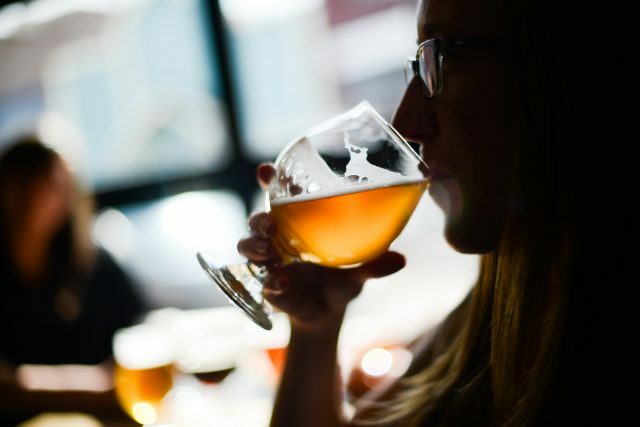 You probably don’t think about it every time you crack open a cold one, but beer is one of the oldest bedrocks of human civilization, brewed all over the world for longer than recorded history. Drinking a well-aged vintage is a great joy. 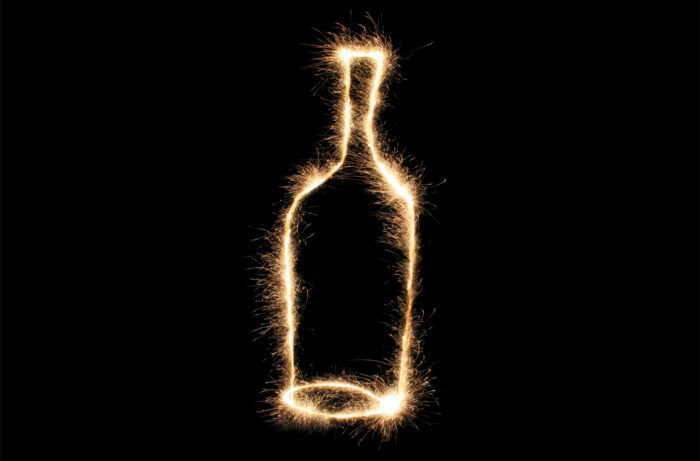 But when you cellar away the perfect wine, does the right moment to open it ever really come? Shopping at a smaller store means that the cheaper options are more curated—if a store has limited space, they want to make sure they offer quality options at a variety of prices. 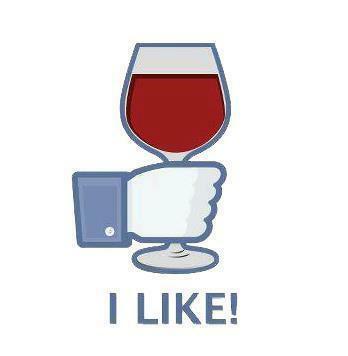 We all have at least one friend or family member with a serious love of wine. 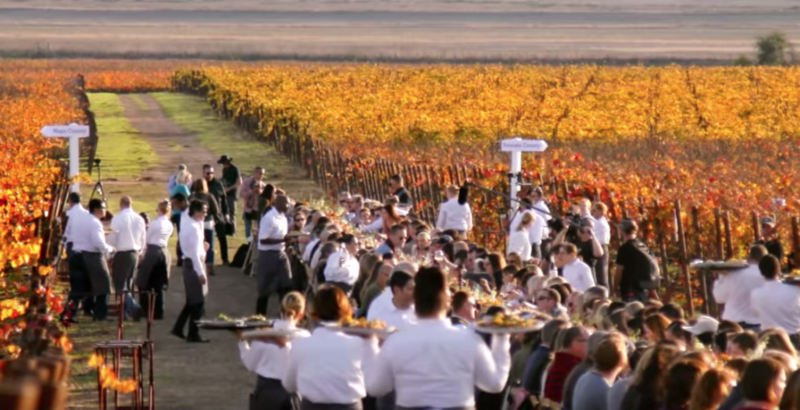 apturing the most intimate moments of despair and heroism during the 2017 wildfires, celebrity chef Tyler Florence’s ‘Uncrushable’ looks unflinchingly at a cross-section of Sonoma and Napa disaster survivors bonded by loss. Here are some of the new producers we discovered in our tastings in 2018, as well as a few established growers who surprised us with their latest releases. 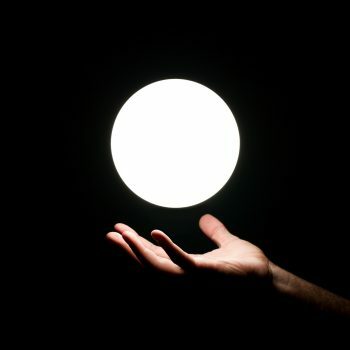 Watch for these 14 names in the year ahead. 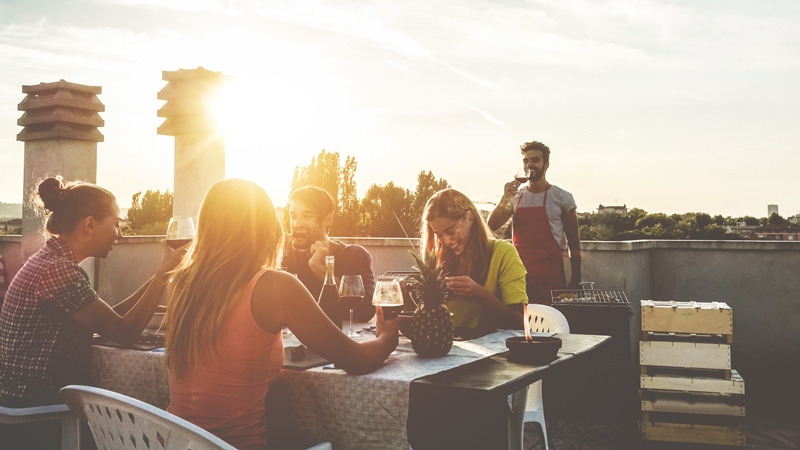 The vast majority of wine consumers have low or minimal engagement, but that engagement grows as they become more enthusiastic about wine. 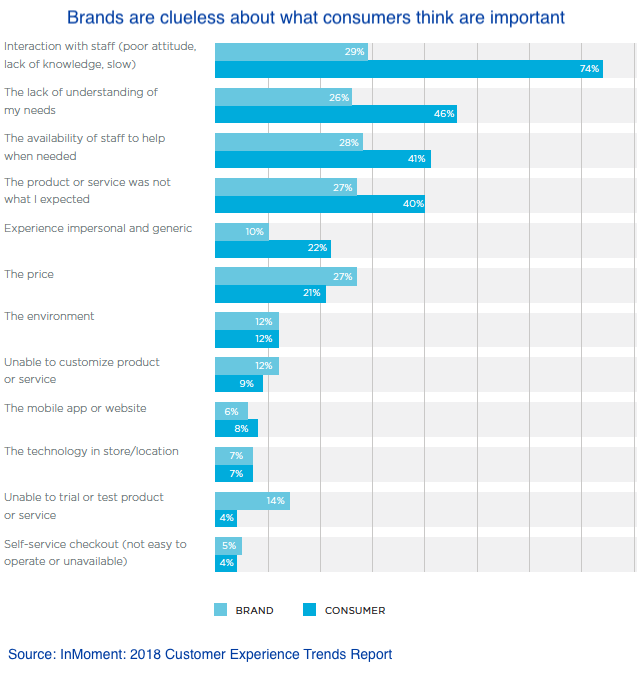 How can business owners use balanced passion and confidence to capitalize on opportunities and address the needs their brand requires for success? If you want to argue that the world of fine wine is never confusing, you should probably avert your eyes from Vino Nobile di Montepulciano and Montepulciano d’Abruzzo. 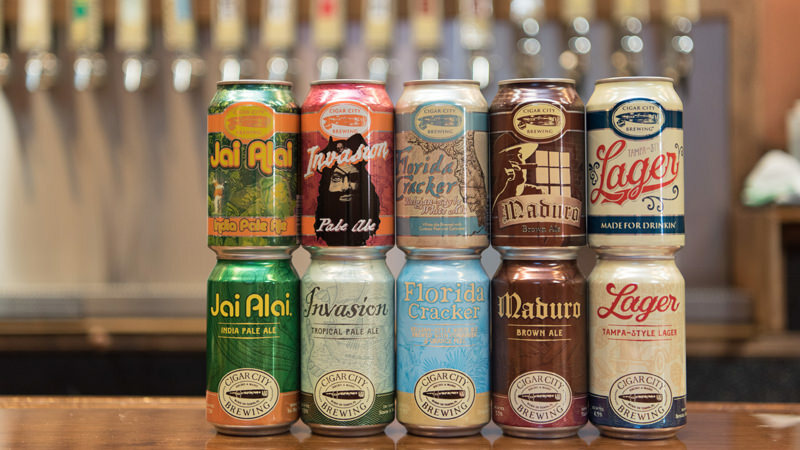 American trade group the Brewers Association has informed its members of proposed changes to its official definition of ‘craft beer’ as it considers dropping one of its three current requirements. 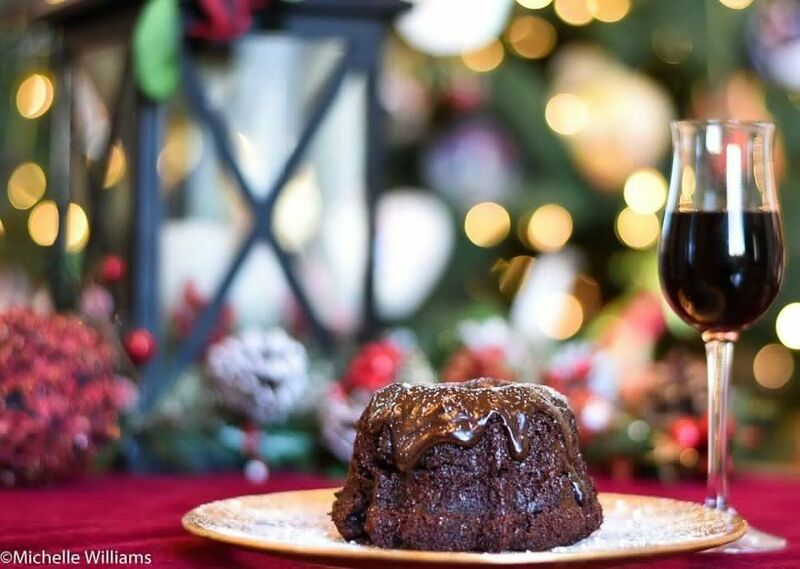 Have you ever found yourself eating dessert and thinking, “This is delicious, but it lacks sparkling wine?” Well, you are in luck. 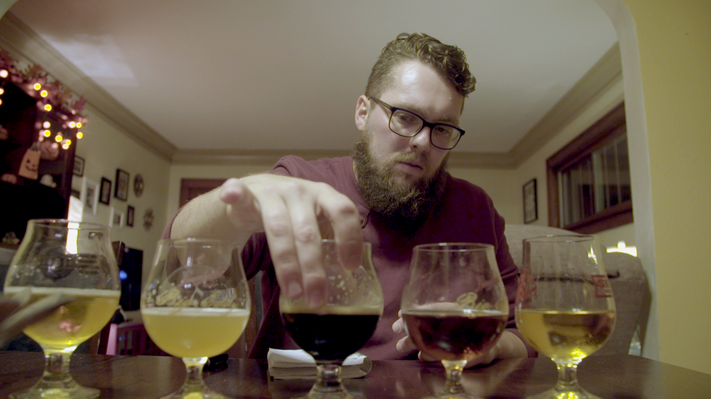 A new documentary from director Douglas Triola, Brewmaster, attempts to capture this moment in American beer culture. 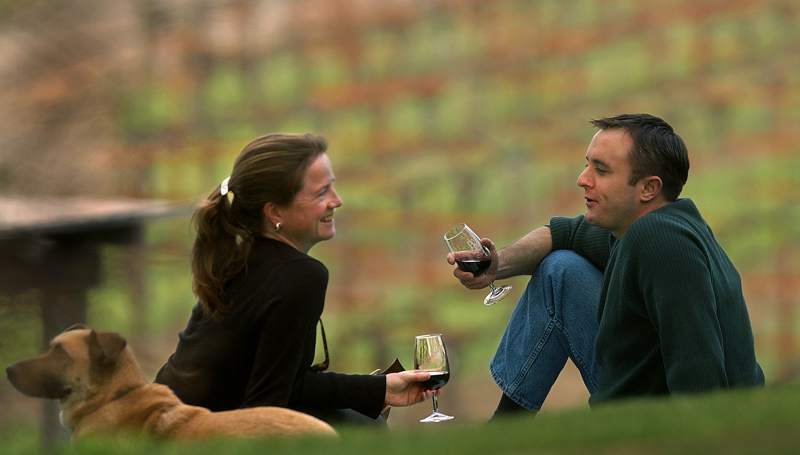 Do women and men have measurably different relationships with wine? 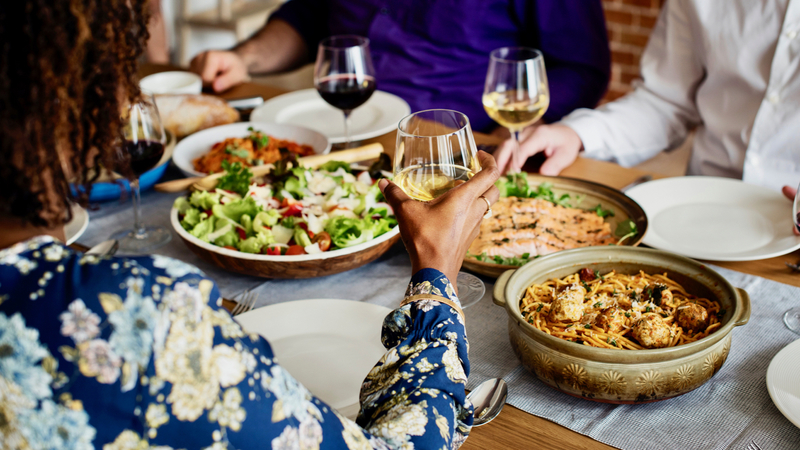 What makes a great keto wine? The northwest corner of Spain inundates the senses with splendor. Everyone has a different sense of smell. 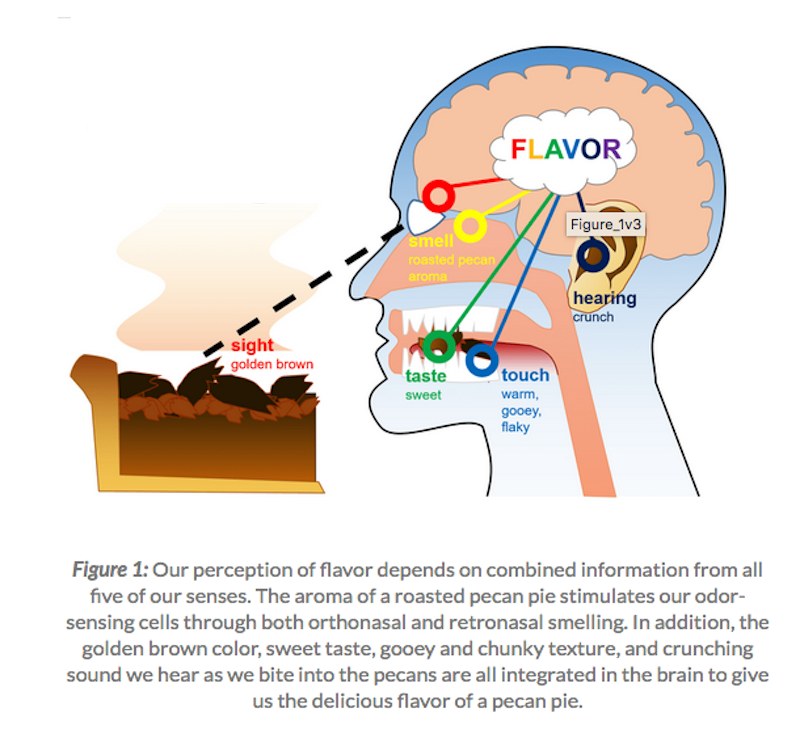 Taste is mostly determined by smell. Not enough people who put together wine lists understand that pricing is more important than anything else. People in the United States are drinking more, and some are spending a bigger share of their income on alcohol. 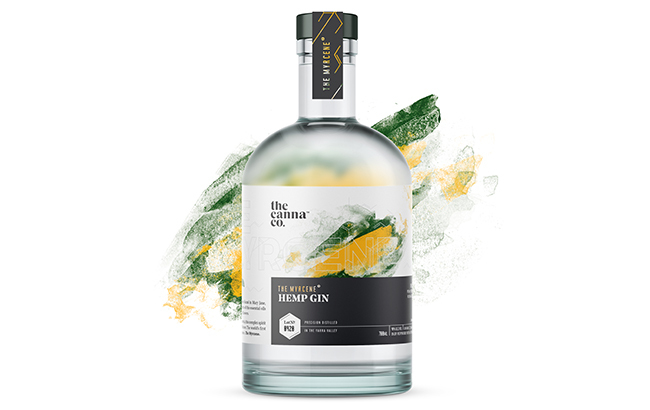 Australian start-up The Cannabis Company is set to release what it claims is the world’s first gin distilled using cannabis oils. 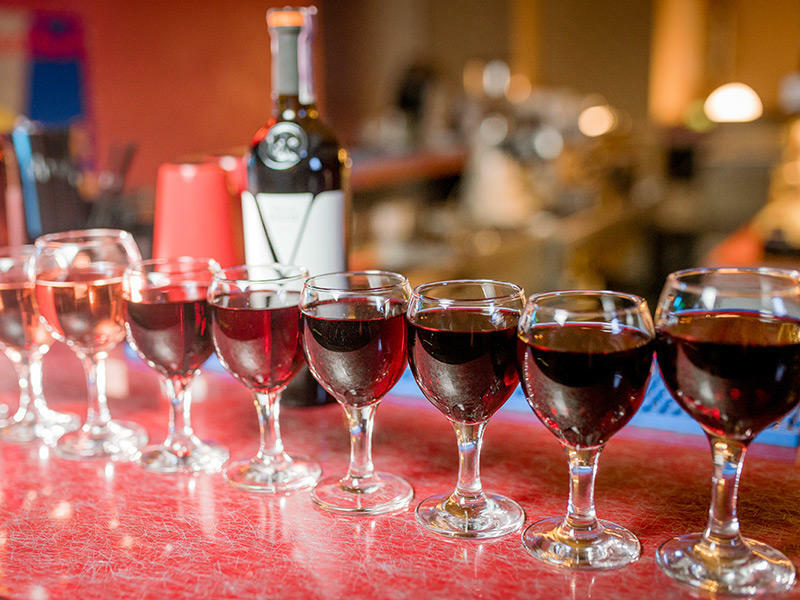 China’s bullish demand for wine has spawned a growing industry of bulk wine business that specialise in creating commercial wines specially tailored for the Chinese market. 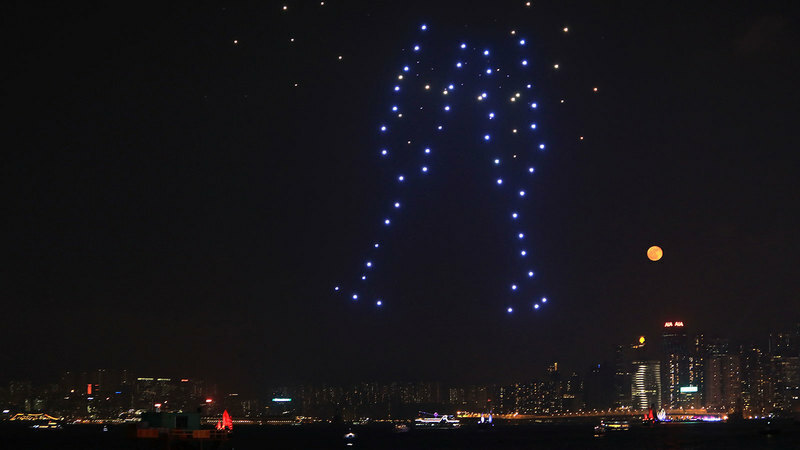 Huge LED formations of fanciful wine bottles and Champagne flutes lighting up the sky in a drone show over Victoria Harbor at last week’s Hong Kong Wine and Dine Festival. But the show, and 46 drones, came to an abrupt end when said drones unexpectedly made a plummet-out-of-the-sky formation into the water. Authorities are now investigating what went wrong. Where does one start on their journey to becoming a wine pro? 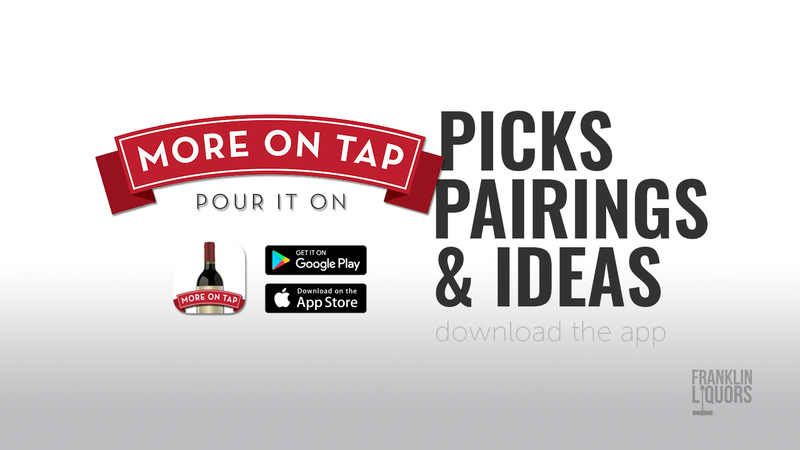 We’re here to help guide you from cocktail hour to dessert, including innovative side dishes, wine pairing tips and tasty options for your main course. 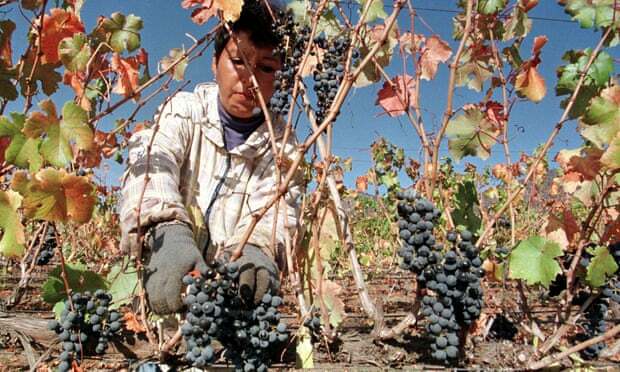 Moldova has more vines per capita than anywhere else in the world – over 7% of arable land and 4% of total land – with wine accounting for anything up to one quarter of foreign currency earnings; historically, Russia has accounted for some 95% of wine exports. 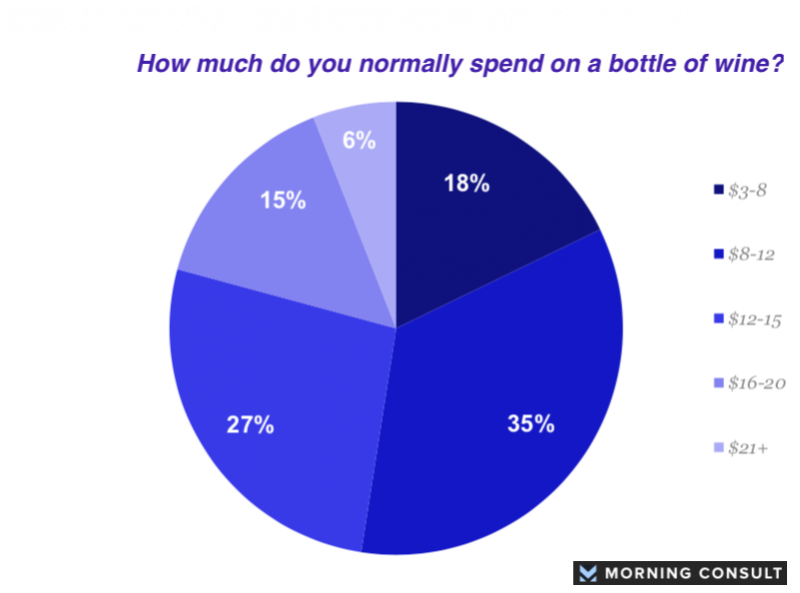 What do wine drinkers want? 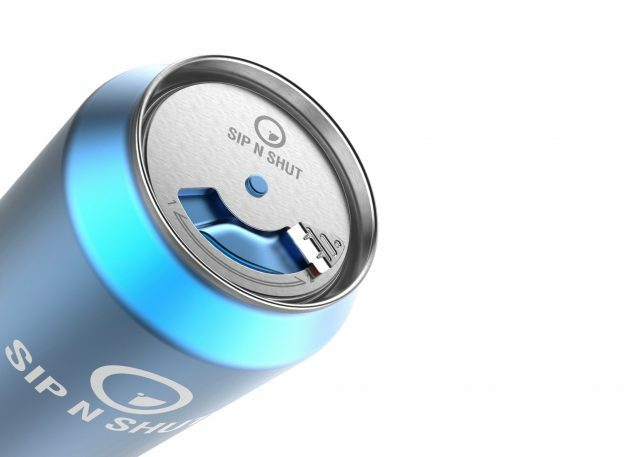 Wine drinkers want mostly simple things. Why is that too much to ask? 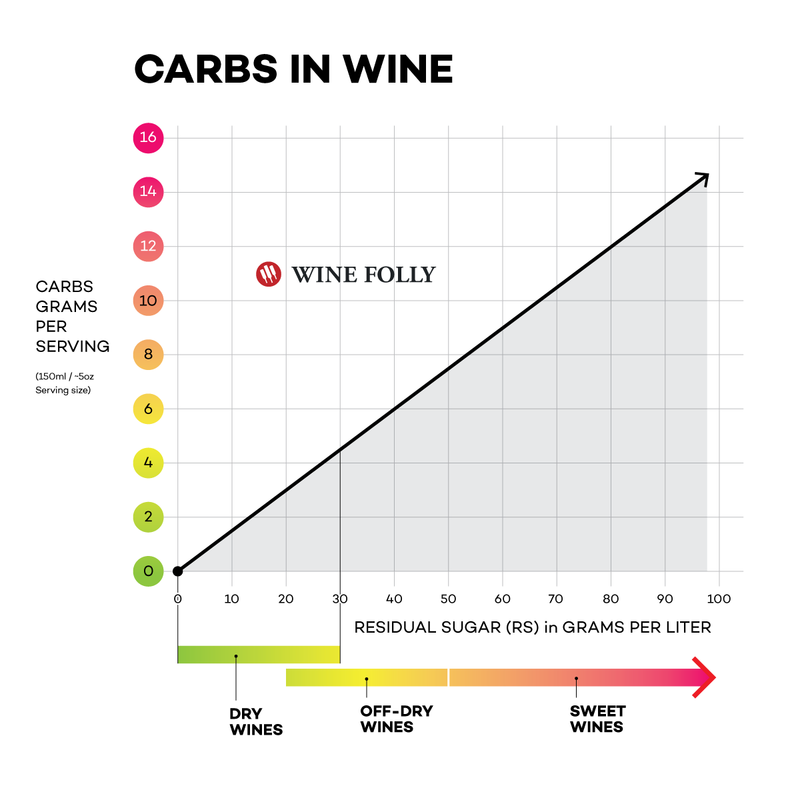 Wine knowledge is important but it’s nowhere near enough. 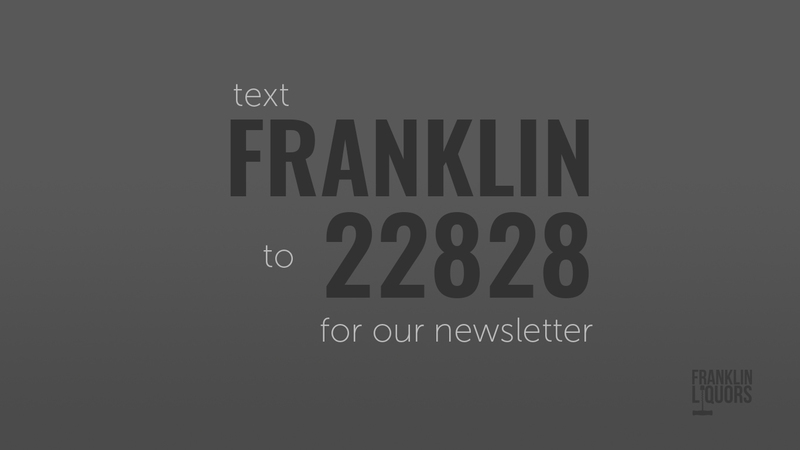 Put down the wine glass, pick up a calculator. This is a BUSINESS! How exactly did agricultural innovations spread in the ancient world? A winery might be entitled to make a maximum of 20,000 gallons annually of wine and be caught making 30,000 gallons. It would then have to stick with 20,000 gallons for a year before the county would consider a higher number. There’s more to what makes a wine expensive than just the materials that made the wine. Sure, a $100 wine is much more expensive to make than a $10 wine. But is there such a big gap between a $100 wine and a $100,000 wine? 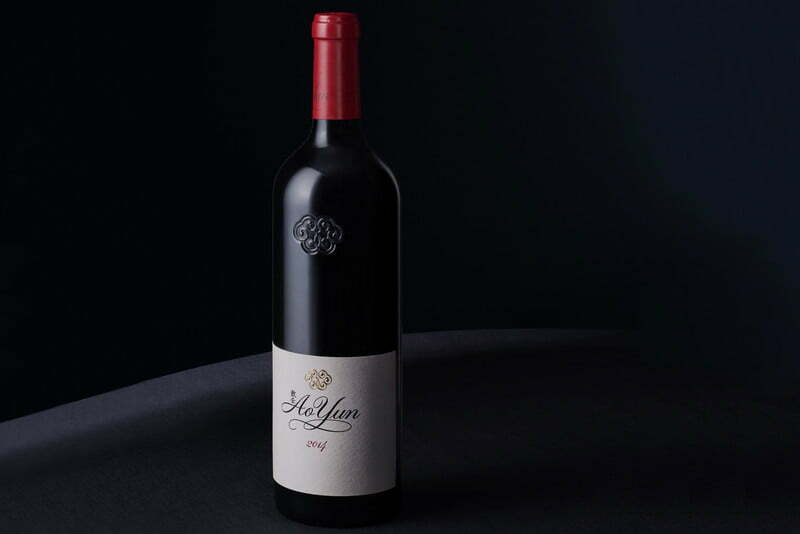 What makes the world’s most expensive wines so expensive? One of the reasons that wine bottles in particular are sometimes not recycled is because they’re often dyed green or brown, and they need to be sorted by color, if not by the consumer then by the recycling facility. Additionally, glass is heavy, and that makes transporting it to sometimes-far-away recycling facilities expensive if not cost-prohibitive. After being collected, glass bottles are crushed and ground into what’s called “cullet,” and this ground glass is sold back to glass manufacturers to be melted into new products, including new bottles. 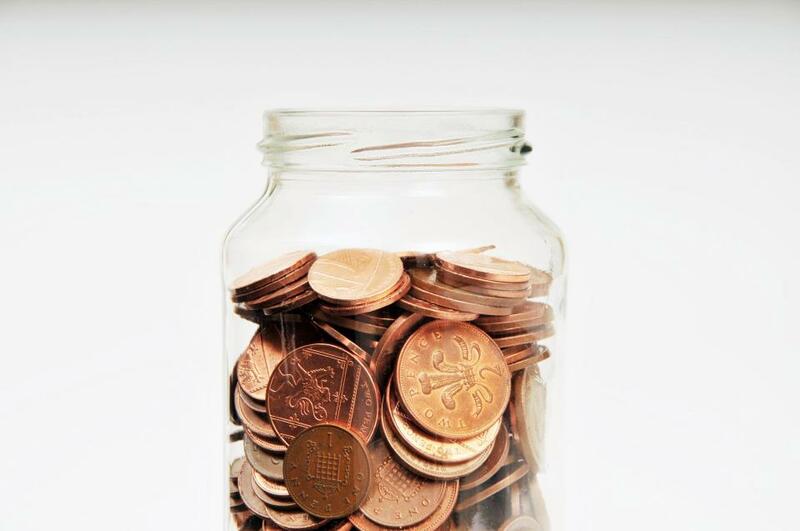 “New” glass can contain as much as 70 percent cullet. For more insight, I spoke to Sarah Bar, project manager at Gallo Glass Company (founded in 1958 by vintners Ernest and Julio Gallo). 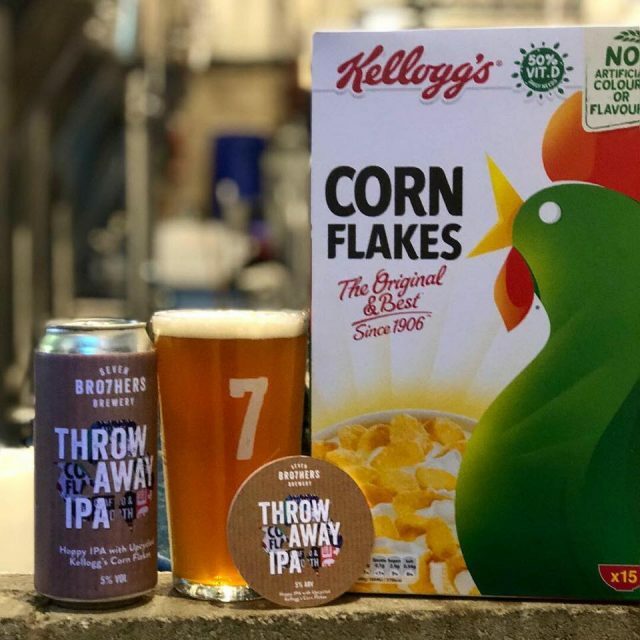 Gallo Glass is the largest consumer of recycled glass in California, purchasing more than 30 percent of all the glass recycled in the state, and Bar says that on average, the bottles for E.&J. Gallo’s wines are made from about 50 percent recycled glass. “Any time I can talk about recycling, I’m a happy camper,” she said. Do you think towns should ban what sizes of liquor are sold? The protocol further defines aspects relating to alcohol tolerance, vintage, variety and wine regions. Insurance Institute for Highway Safety, said that car accidents reported to police in three states that had legalized marijuana sales—Colorado, Washington, and Oregon—saw 5.2% more accidents than did their neighboring states. 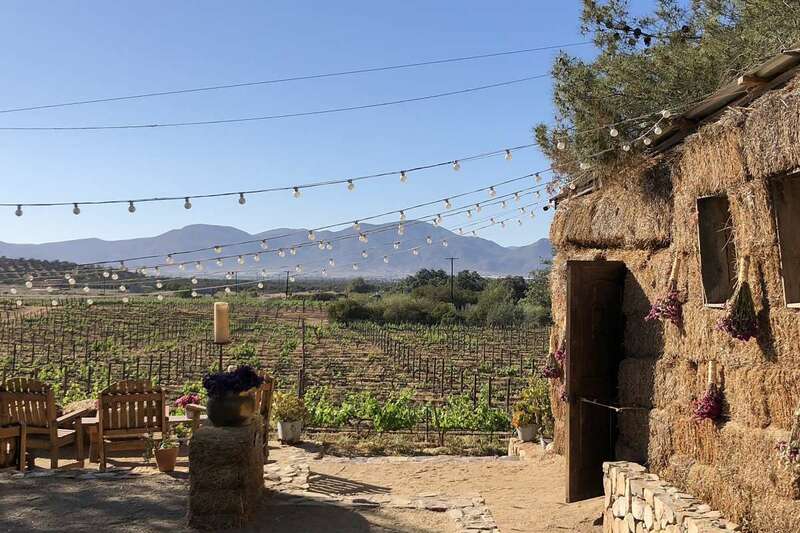 Mexico’s wine capital is just an hour south of Tijuana in valleys around Ensenada, and it produces nearly 90 percent of the country’s wines. Who knew brown ale paired so well with Snickers? The average change in price paid by consumers over time for goods and services is measured by a figure called the Consumer Price Index. 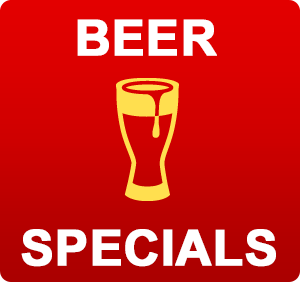 The US Bureau of Labor Statistics has tracked the CPI for beer, ale, and other malt beverages since the 1950s. 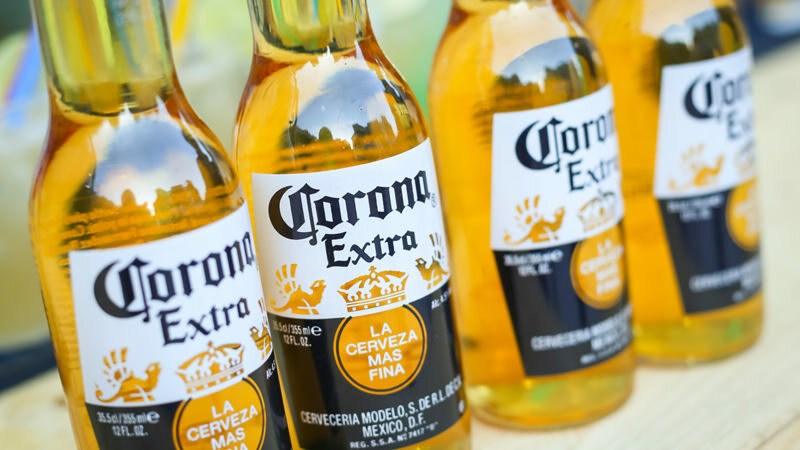 US-based drinks giant Constellation Brands is reported to be considering the sale of some of its US wine brands, having announced a public offering of US$2.15 billion senior notes yesterday in order to help finance its $4 billion investment in cannabis company Canopy Growth. 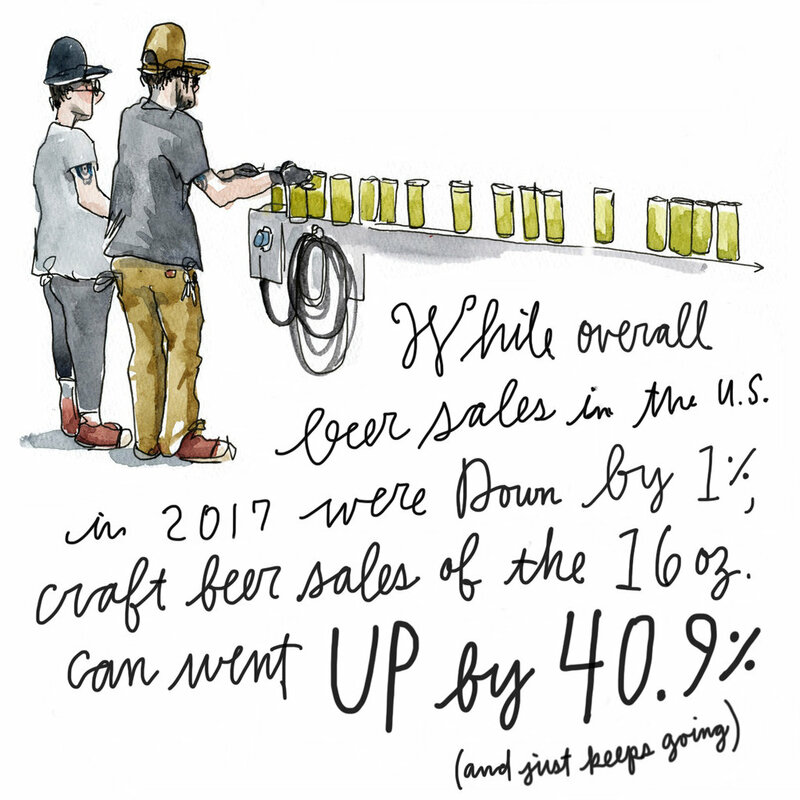 According to Nielsen data, both domestic and international white blends accounted for just 1.7 percent of U.S. wine sales in 2017. 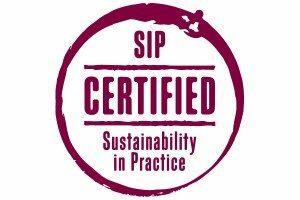 The report showed women were more likely than men to have an interest in buying ethical and sustainable wine and were more likely to purchase vintages made by female winemakers when this was brought to their attention. 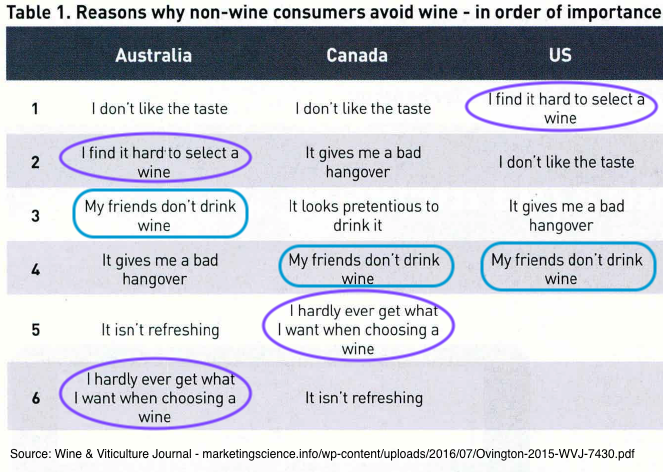 Taste might have less to do with what consumers are willing to pay for wine than you think. The powerful allure of drinking wine that’s older than you: why is it so appealing? There is no other agricultural product that we allow to age so long. Can you imagine slathering your sandwich with 30-year-old mayonnaise? Ireland’s West Cork Distillers has partnered with Massachusetts brewer Castle Island Brewing Co. on a new limited edition whiskey. Aged up to eight months in barrels that first held West Cork Bourbon Cask Irish Whiskey and later matured Castle Island Imperial Stout, Export Stout Cask Finish is a limited edition blend of 75% grain and 25% malt. 3,900 bottles of the new whiskey are available across the northeastern U.S., retail priced at $30 a 750-ml. 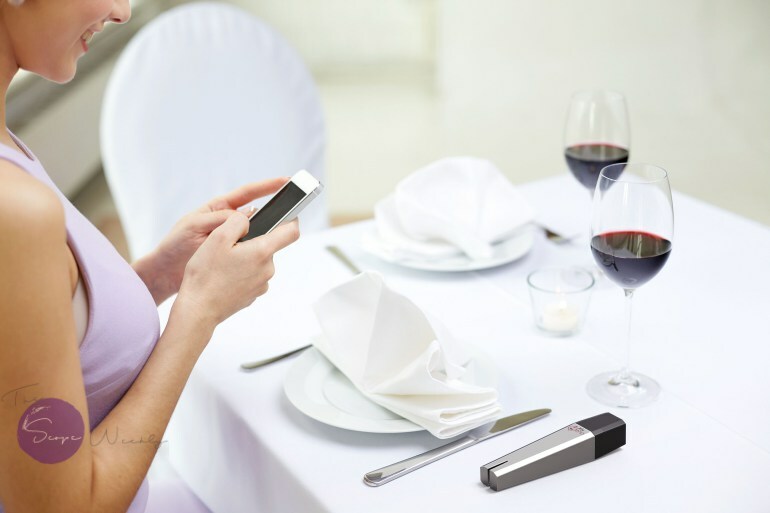 Boston-based importer M.S. Walker handles West Cork in the U.S.
It’s been said that drinking wine goes best with a good meal. 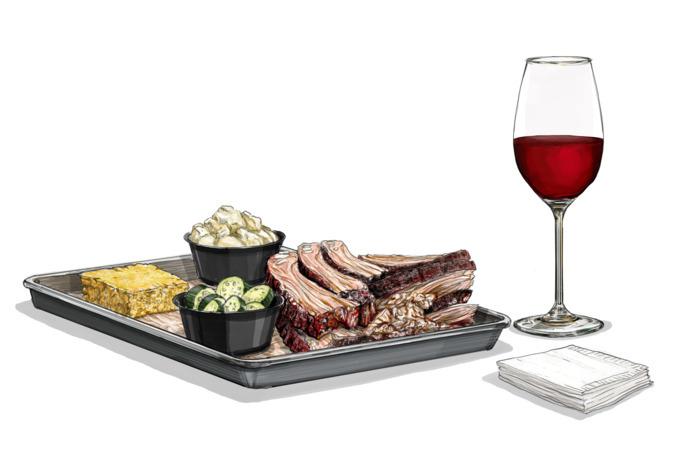 And in Chile, it’s been said that drinking wine goes best with a good meal from the grill. 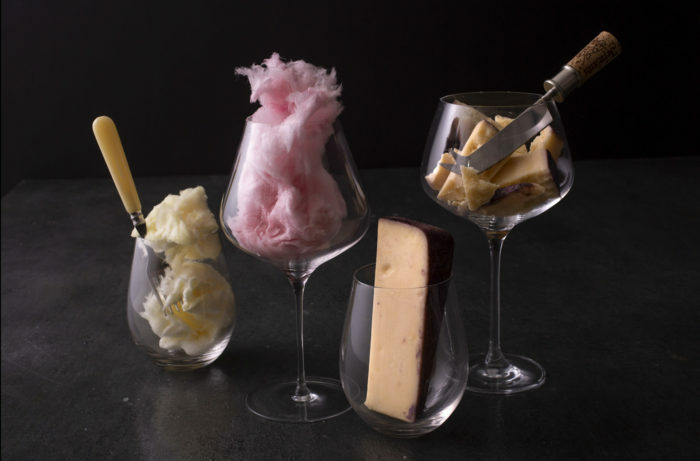 From Merlot-soaked cheese to Chianti salami, Prosecco ice cream and Chandon donuts, here are 10 ways you can have your wine and eat it too. 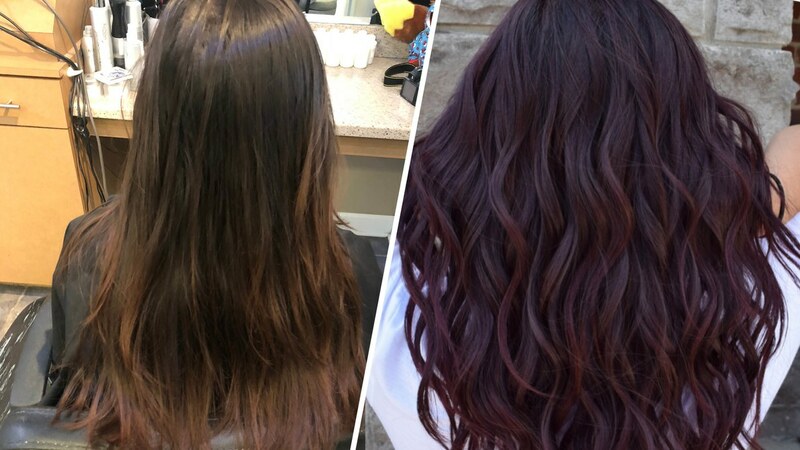 Wine hair is officially a thing, people, and it’s making us want to indulge in a glass, like, yesterday. 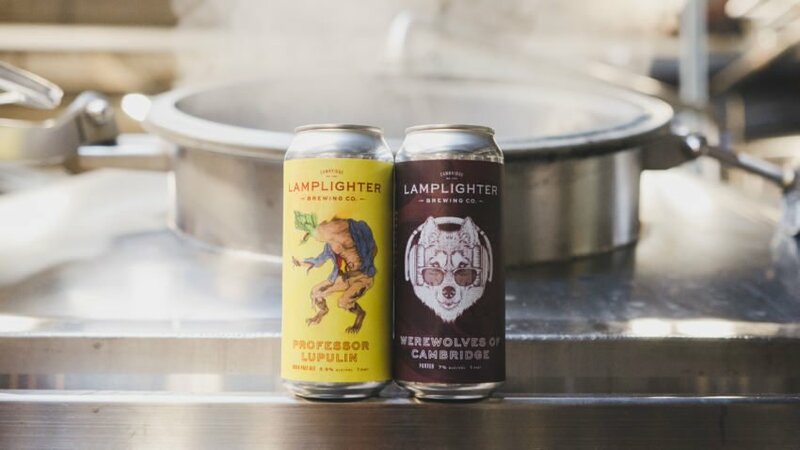 Where do you get your beer education? 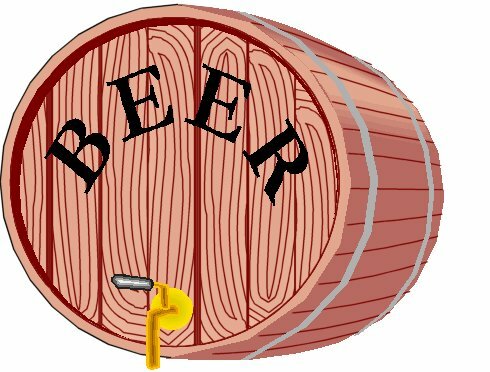 And there are now plenty of beer bloggers, websites and even apps where one can gather information on new beers, styles, and trends. 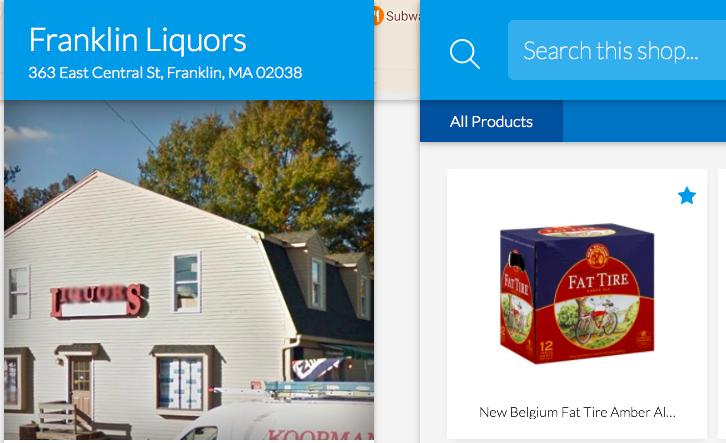 According to stats from alcohol delivery company Drizly, majority of beer sales in Boston come from craft. In fact, Boston has the second highest percentage of beer sales from craft brewers on Drizly’s platform, behind only Seattle. 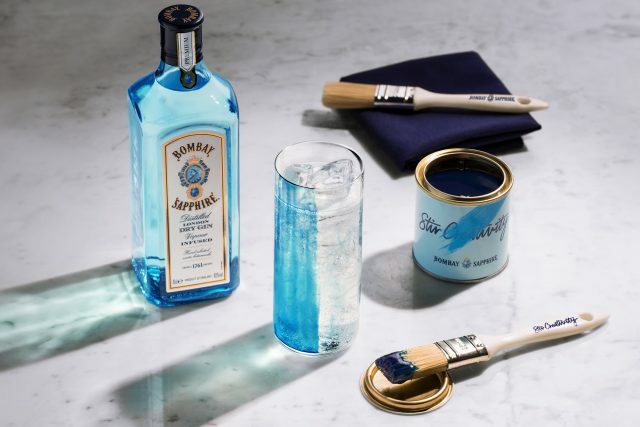 Bacardi-owned gin brand Bombay Sapphire has launched an edible blue paint which can be used both to colour glasses and also release flavour in gin and tonics. Wine and storytelling are often entwined. Winemakers spin yarns about a noble relative who planted the family plot centuries earlier, while sommeliers rave about the magical quality of sea breezes. 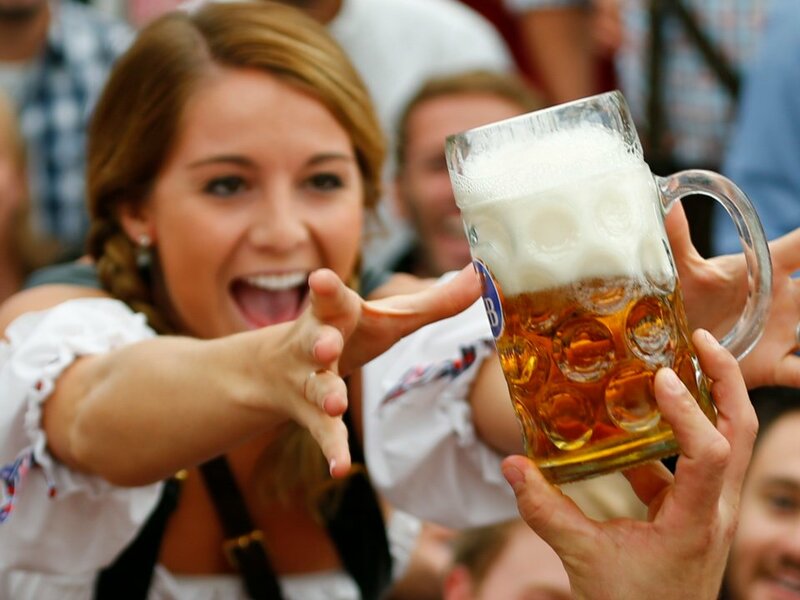 If you’re looking to save money on beer while you’re traveling abroad, you might want to avoid some of these cities. 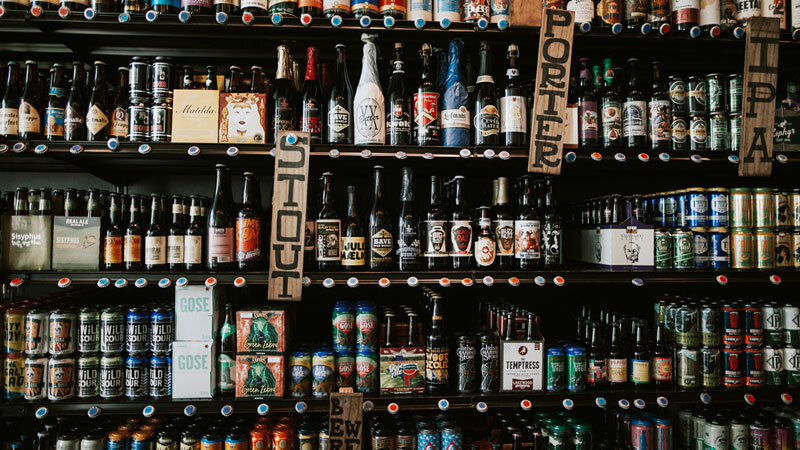 “The Board’s action in prohibiting the sale of containers of spirits of 100mL or less and imposing a voluntary ban on containers priced below $3 is a modification of the liquor license within state law,” read the complaint. 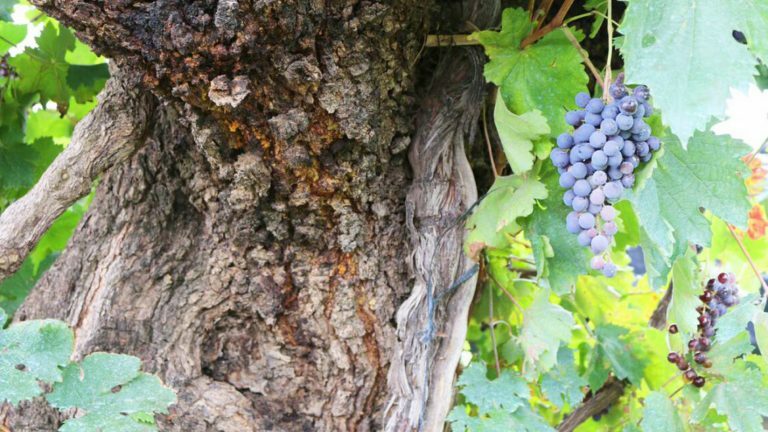 A research project into old vines in southern Chile has identified 26 new varieties, previously unknown in the world, and over 60 ‘uncommon’ varieties growing in Bío Bío. 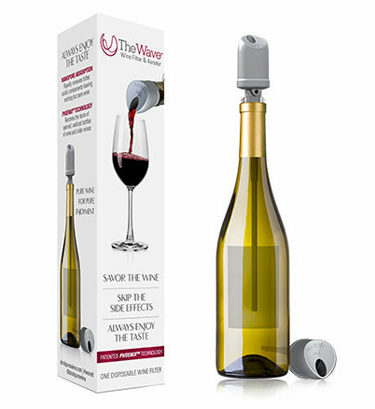 This is about the addition of a substance to wine and has nothing to do with extra-marital affairs. The undead are at the gates, but you’re safe inside your cellar. 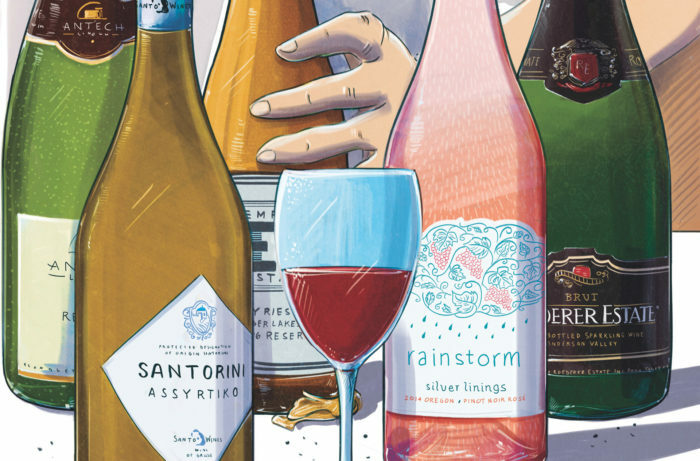 Here’s your guide on which bottles to drink and which to save for bartering. 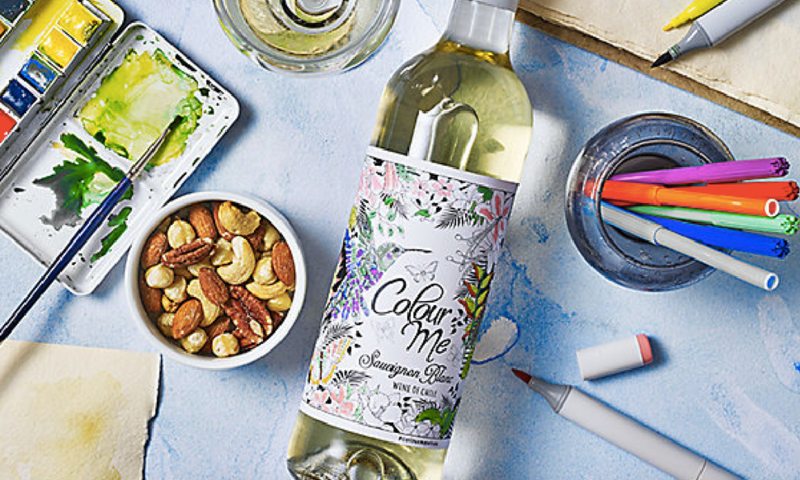 In an increasingly chaotic world, it’s often the little things that can help you relax — things like coloring in a beautiful design, or spending time with friends, or sipping a nice glass of wine. 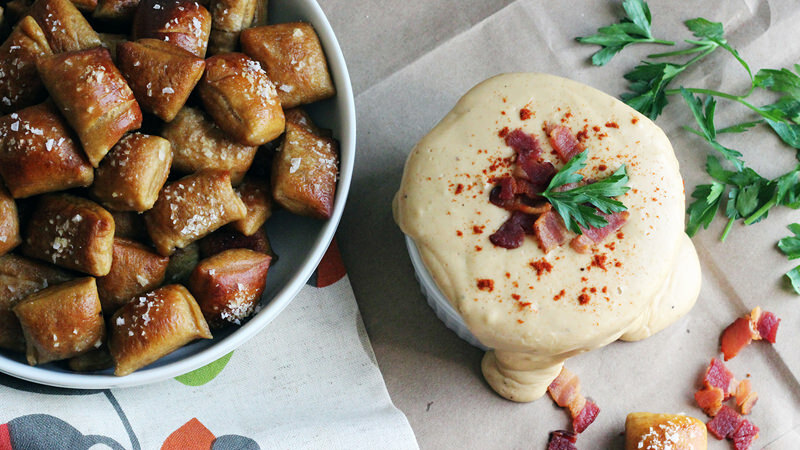 It’s hard to know what to bring to the season’s many gatherings. Here are the W.E. 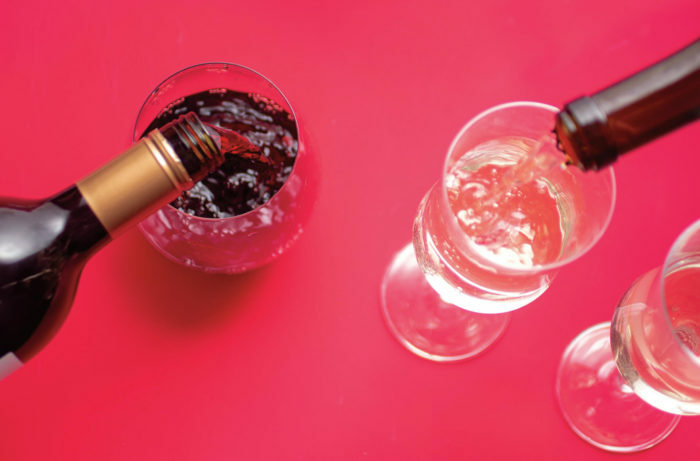 editors go-to affordable bottles that are sure crowd-pleasers.